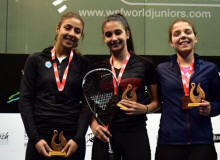 EGYPT DOMINATES THE JUNIOR WORLD!!!!! 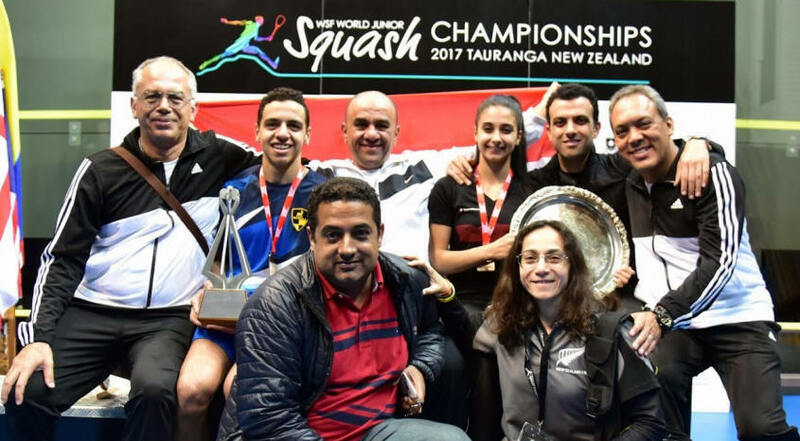 Egypt have completed the clean sweep, adding the team’s title to the men’s and women’s trophies they will take home. 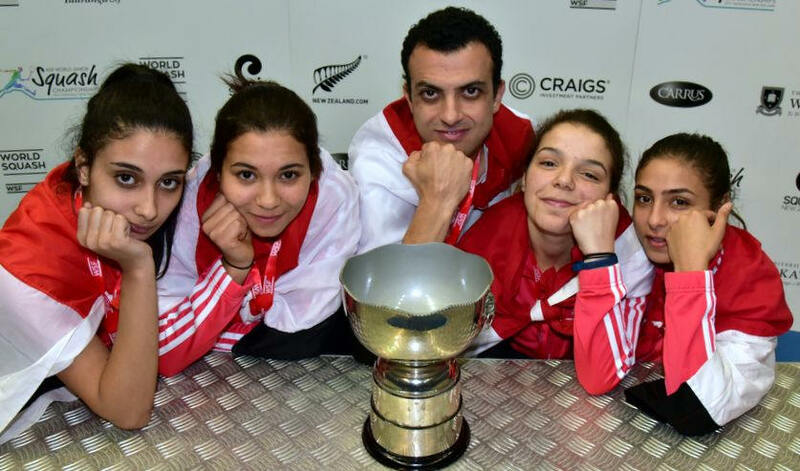 With the top four seeded women in the tournament they were always going to be hard to beat and so it proved with a 2-0 win against Malaysia to add a sixth consecutive title to their burgeoning trophy cabinet. 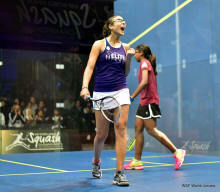 Women’s champion Rowan El Araby sealed the victory and celebrated her 17th birthday with a 3-1 win against Andrea Lee. 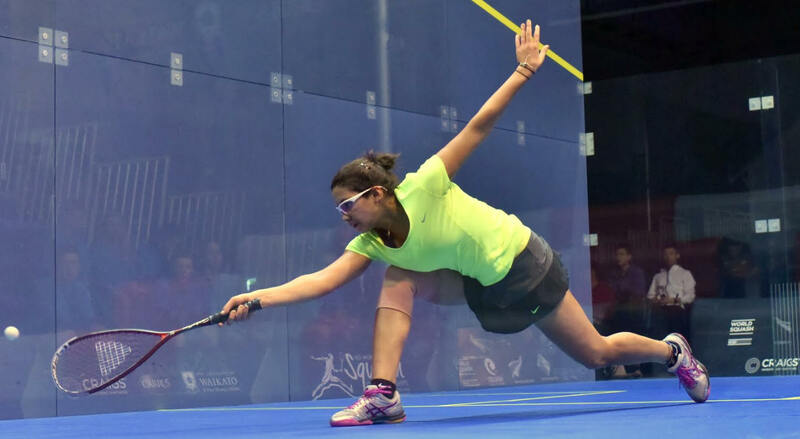 It came after Hania El Hammamy, who El Araby had beaten six days earlier in the women’s final, defeated Sivasangari Subramaniam 3-1 in a match of such quality it defied their teenage years. 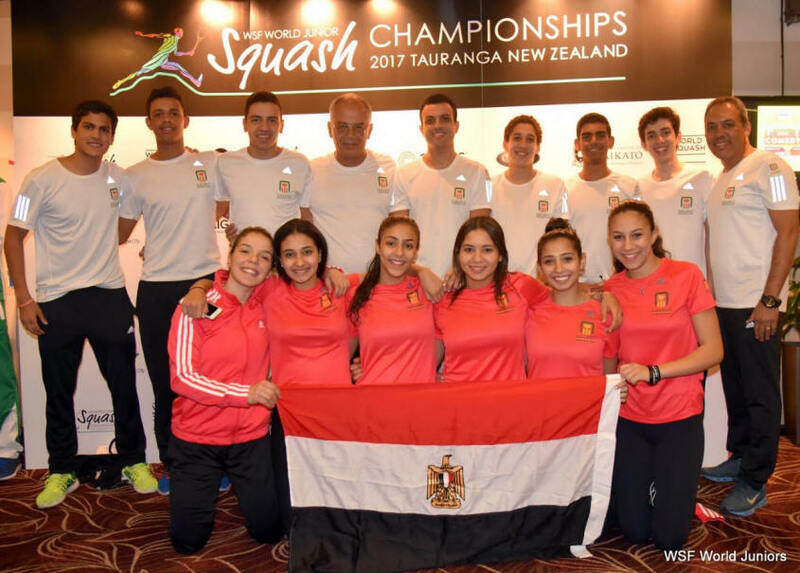 Egypt coach Omar Abdel Aziz said it had been hard to motivate the players after the individuals tournament because with the four top seeds, they had all hoped to win. 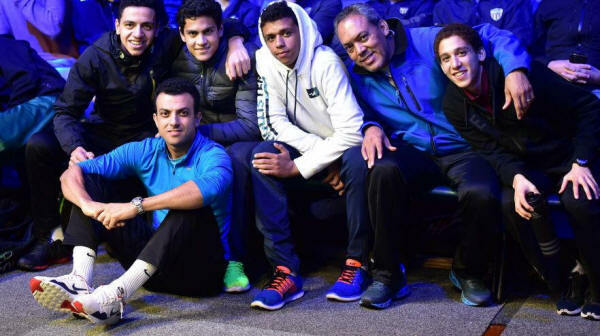 Egypt have, for a long time now, been the powerhouse in squash and Aziz admitted the bar was high in terms of selections. 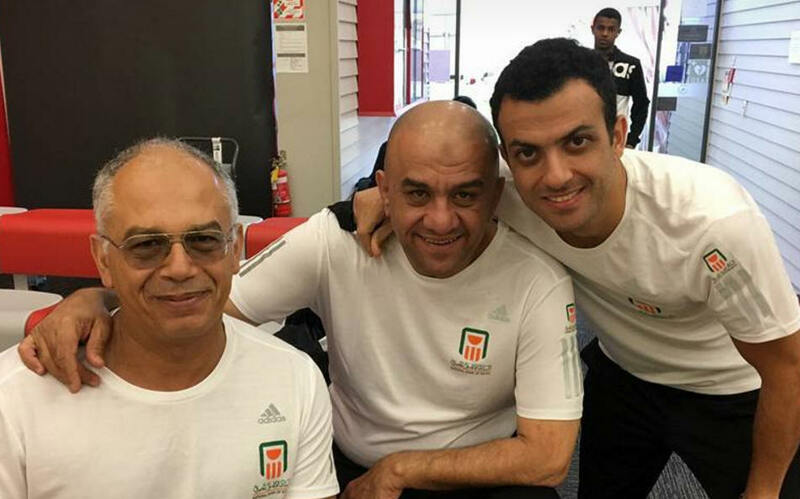 “And the production line is always there,” Aziz said. I had to get them back up psychologically. It was step by step, match by match to get here. 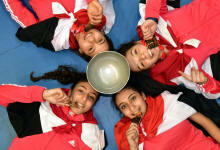 We didn’t talk about the trophy, just the matches. 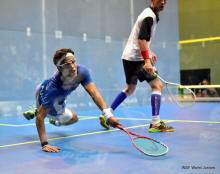 I was very disappointed to lose the final of the individuals. I didn't perform the way I wanted to and it's such a shame. But I have a chance to win the team event. 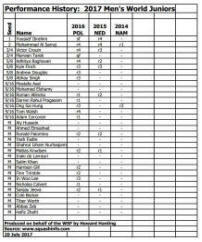 I have to forget about the individuals and focus on the teams. 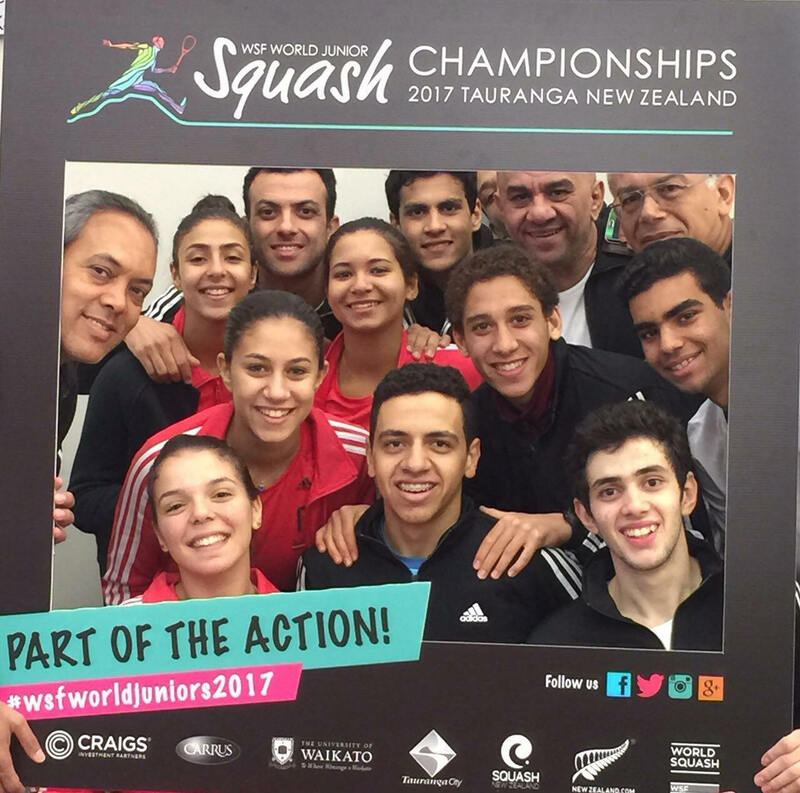 We are so happy to be in the final, it's the first time for all of us to be in the team event, we're excited and we want to win it. 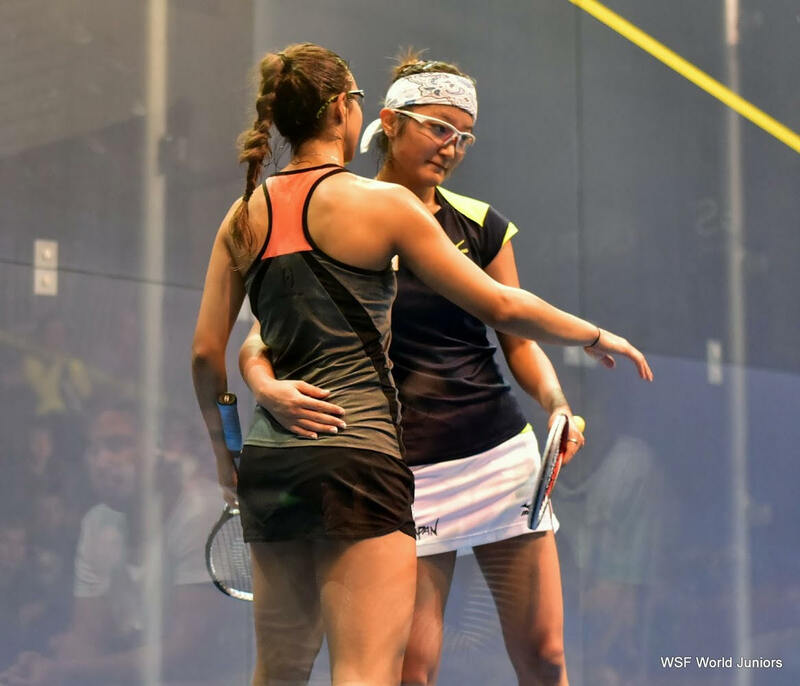 Aifa was all over the shop mentally with the pressure, and Jasmine played well, she could and probably should have won, so we were happy to take that one. 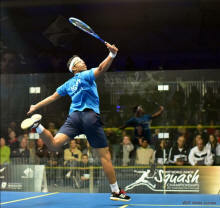 But Sivasangari was in dominant form. 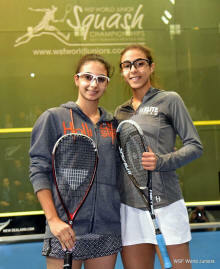 It's going to be tough tomorrow, Egypt are obviously in good form and haven't spent much time on court. 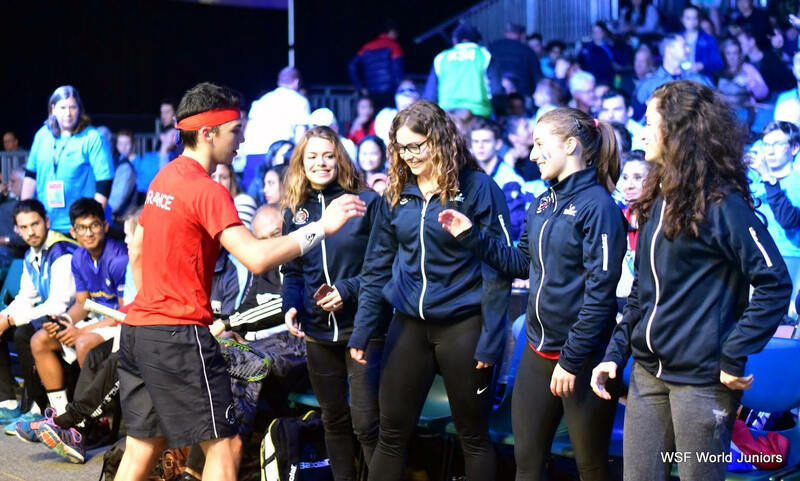 There's no pressure on us, but we're probably looking at replaying two matches that both went against us in five in the individuals, so we'll just see how it goes. 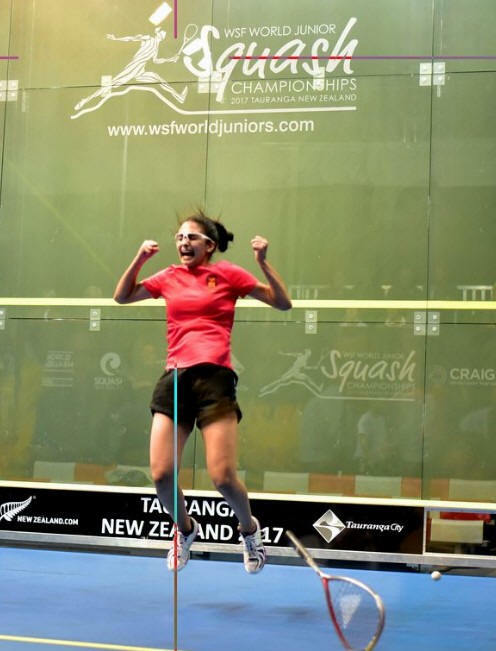 The top two seeds Egypt and Malaysia will contest the final of the WSF Women's World Junior Team Squash Championship in New Zealand after 2/0 victories in today's semi-finals at the Queen Elizabeth Youth Centre in Tauranga. 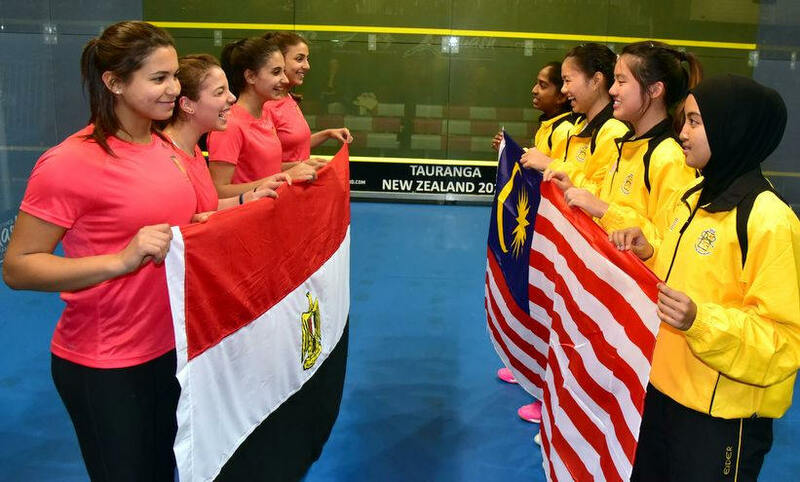 Whilst hot favourites Egypt are celebrating their eighth final in a row and bidding for a sixth successive title, second seeds Malaysia are back in the final for the first time since 2007 and for only the third time ever. 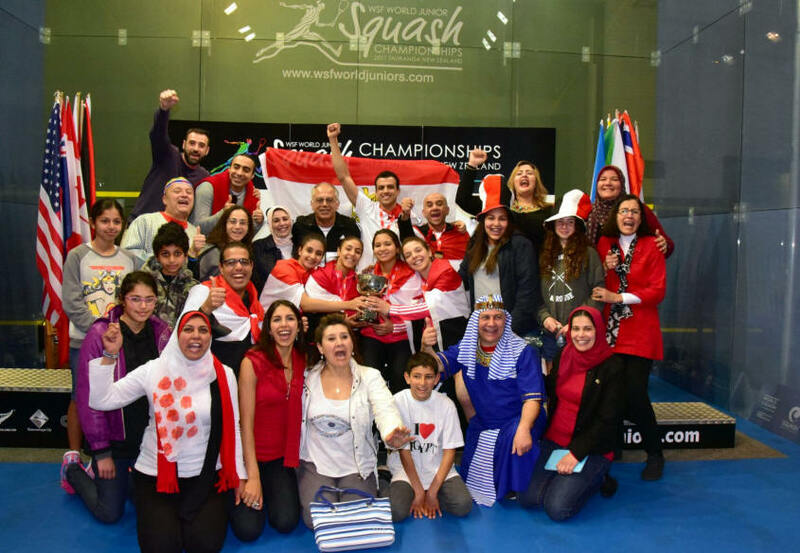 In the first semi, Egypt faced fourth seeds Hong Kong - the last team to beat them, in the 2005 final. It was another quick affair, Amina Yousry putting the side into the lead after beating Chan Sin Yuk 11-4, 11-3, 11-7 in just 17 minutes and world junior championship runner-up Hania El Hammamy sealing victory with an 11-4, 11-6, 11-1 victory over Malaysian Lui Hiu Lam. El Hammamy is desperate to go one better than she did in the individuals. 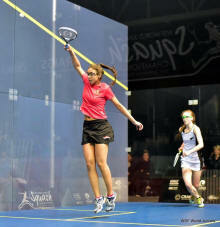 The 16-year-old was top seed but lost to team-mate Rowan Reda Araby in the final. It hurt then and it still hurts now. 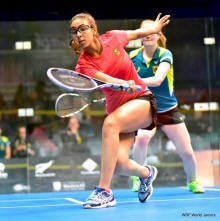 Malaysia beat former champions England 2/0 with Aifa Azman getting the better of Jasmine Hutton in first match. 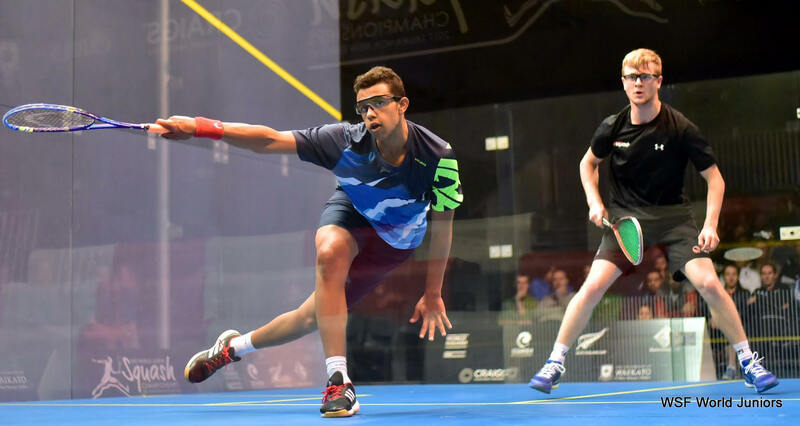 The 18-year-old from Sussex took the lead for the third seeds, but Azman recovered to take the next two games, both 12-10, before wrapping it up in the fourth. Malaysia's number one Sivasangari Subramaniam then made short work of Lucy Turmel, winning in straight games to the delight of herself and the Malaysian team, who will play their first final in ten years. 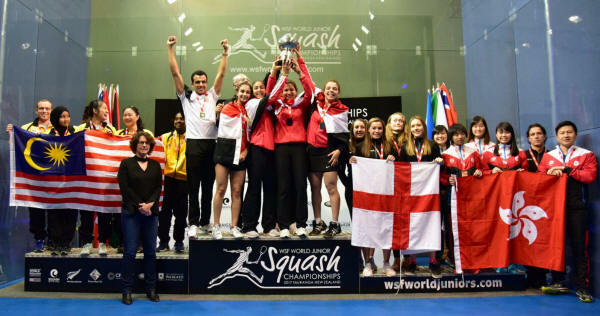 Losing semi-finalists Hong Kong and England both win bronze medals. 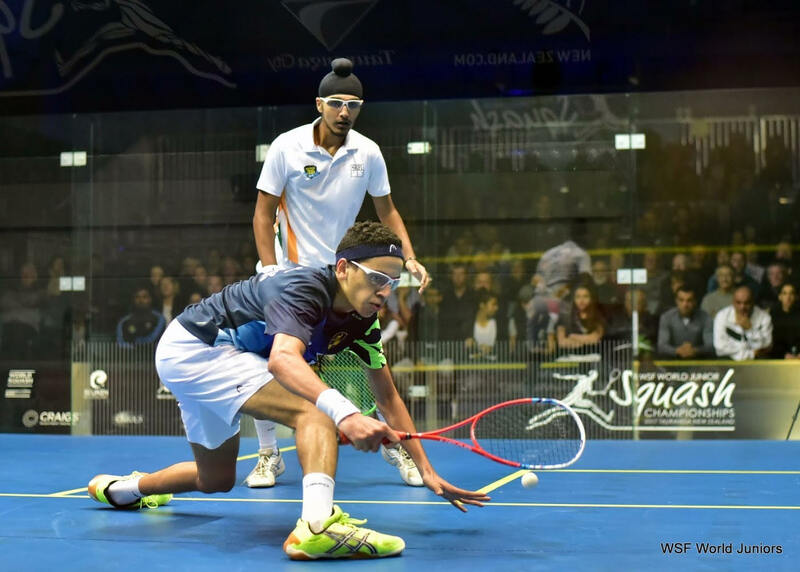 In the 5/8 playoff semi-finals USA beat hosts New Zealand 2/0 and India beat Germany 2/0. 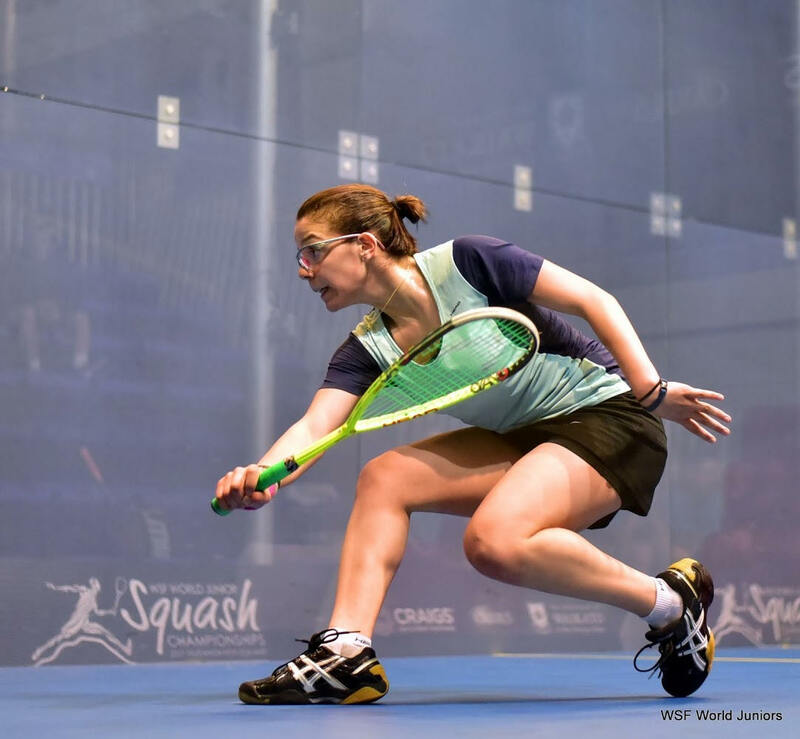 In the 9/16 playoff semi-finals, Australia and Canada won through with 2/1 wins over South Africa and Korea, respectively, while France beat Ireland 2/1 for their first win, leaving the Irish in 14th place. 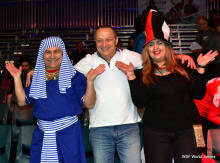 EGYPT ON THE TOP OF WORLD(S)!!!!!!! 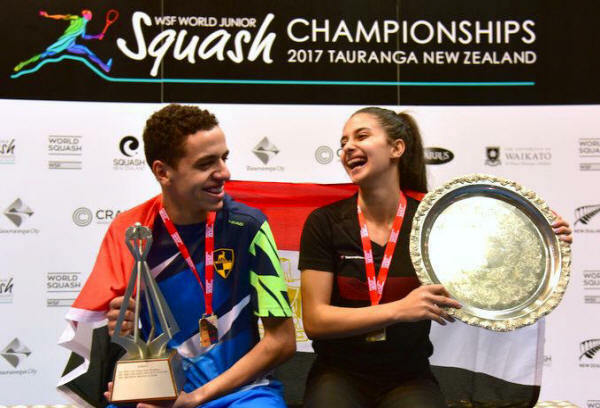 It was an Egyptian double - the fifth in the history of the tournament - today in New Zealand where Marwan Tarek and Rowan Reda Araby won the men's and women's titles, respectively, in the WSF World Junior Squash Championships at the Devoy Squash & Fitness Centre in Tauranga. 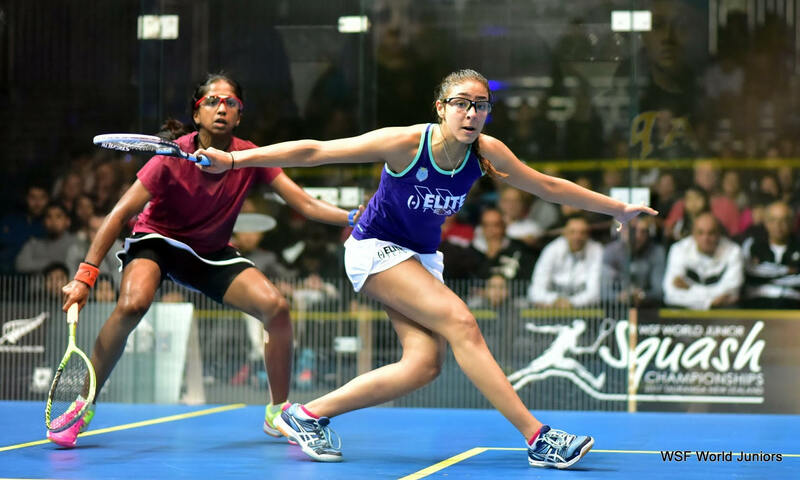 16-year-old Araby, the runner-up in Poland a year ago, pulled off a significant upset - leading in all games before beating top-seeded compatriot Hania El Hammamy 11-7, 11-9, 11-8. The pair had contested three British Junior Open finals since 2013, all of them won by El Hammamy - but Araby made her breakthrough a year ago in Poland, beating her older rival for the first time in the 2016 World Junior semi-finals. 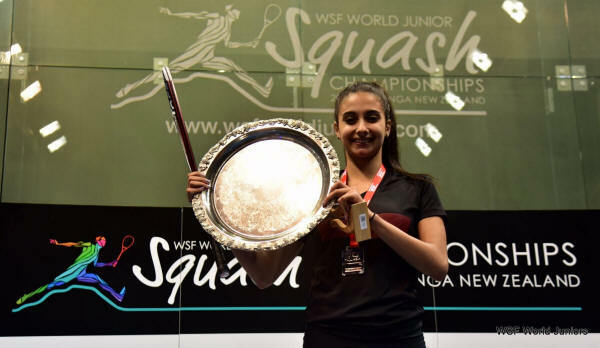 Spurred on by her most recent success, the Alexandria-based Araby charged to her straight games triumph over world No.35 El Hammamy - also 16, but from Cairo - in 33 minutes, becoming the seventh successive Egyptian winner of the women's title. 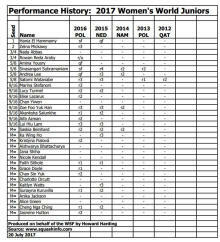 "I am so happy," said the 3/4 seed, ranked 15 places lower. 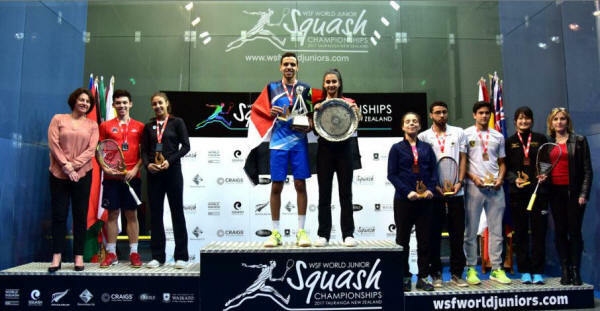 "I worked so hard for this title after coming second last year. 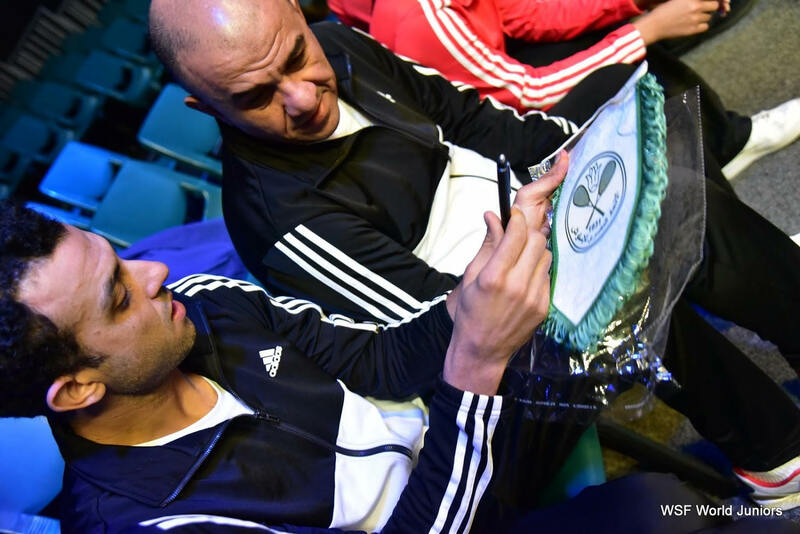 "It's difficult playing another Egyptian but there are no friends on the court and I worked hard to stay calm. "I didn't expect it to be three-nil. 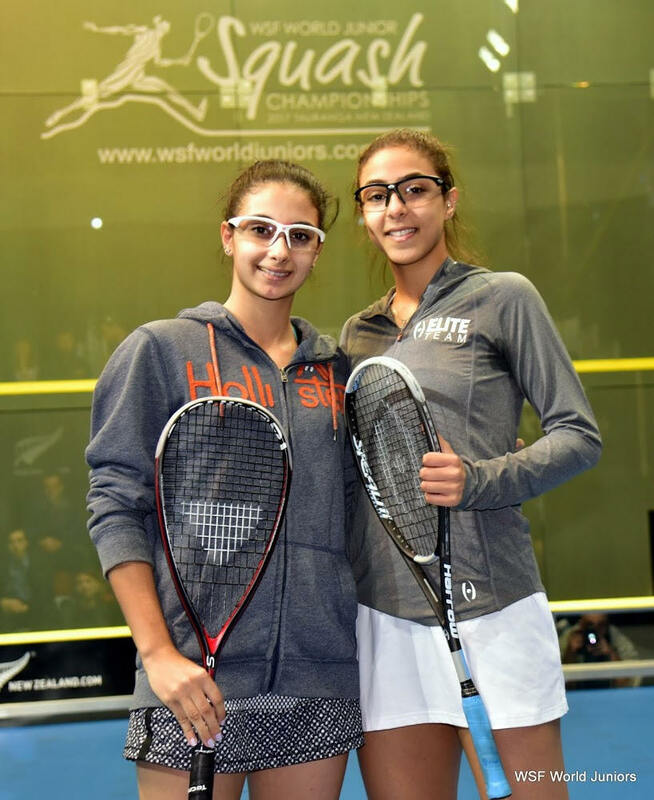 All the matches I play against Hania are normally close. This is just amazing. I'm sorry, I don't really have many words right now." Both men's finalists pulled off upsets in the semis - leaving the climax devoid of the event's top two seeds for the first time since 2004. 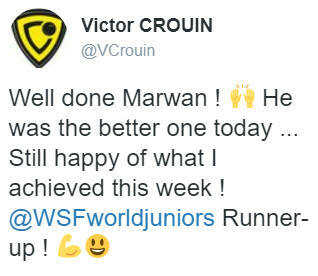 Incredibly, Tarek was facing Victor Crouin for the first time since meeting the Frenchman in the British U13 Junior Open in January 2012! The match went the full distance, with 18-year-old Crouin - bidding to become the first ever world junior champion from France - twice drawing level after 18-year-old Tarek won the first and third games. But after losing the first point in the decider, Tarek reeled off eight points in a row to take the match 11-9, 3-11, 11-6, 3-11, 11-2 in 58 minutes. 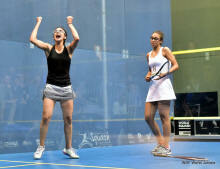 "I can't think right now, I'm the world champion, I'm the world champion," said the 17-year-old from Cairo repeatedly. "Dreams do come true." 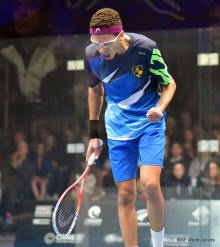 Tarek revealed he was feeling the effects of his semi-final win against top seed Youssef Ibrahim. "I wasn't 100 percent ready. 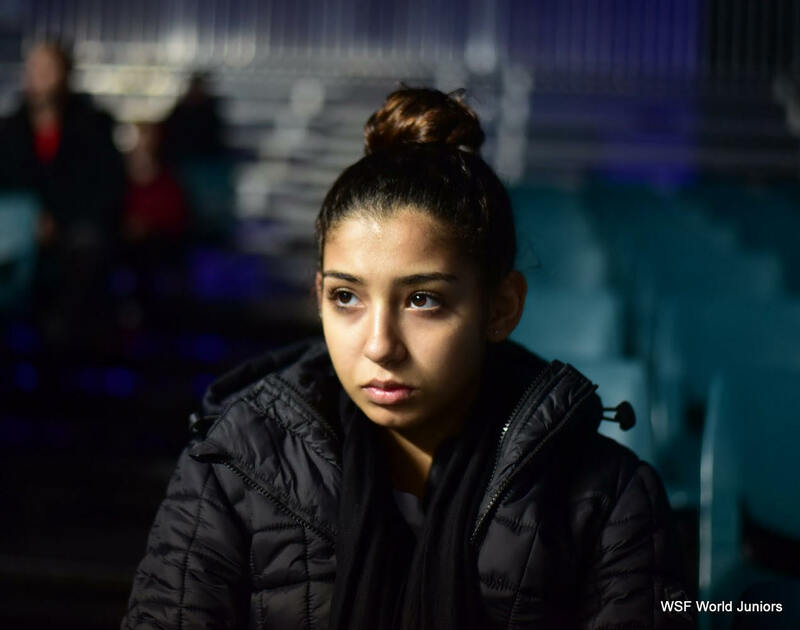 My body was weak but this is the world championships and you have to survive." 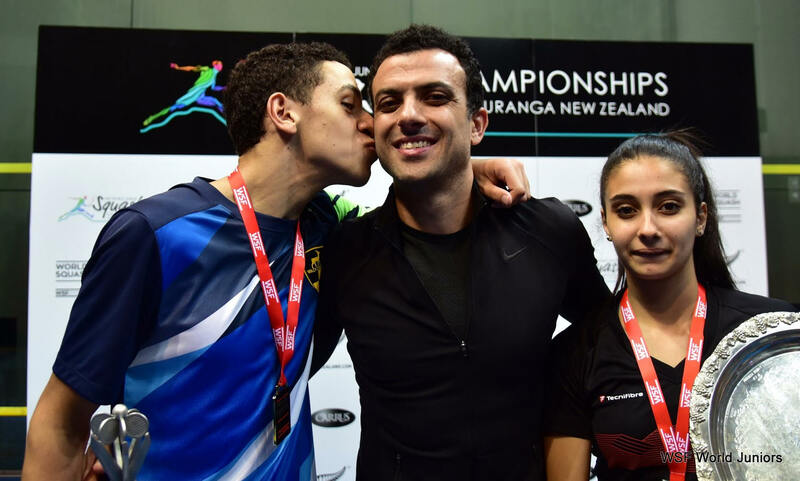 The Tauranga climax marked the first Egyptian double since 2013 - when Karim El Hammamy & Nour El Sherbini won the titles in Poland - but the fifth since the breakthrough success by Mohamed Elshorbagy and El Sherbini in 2009. 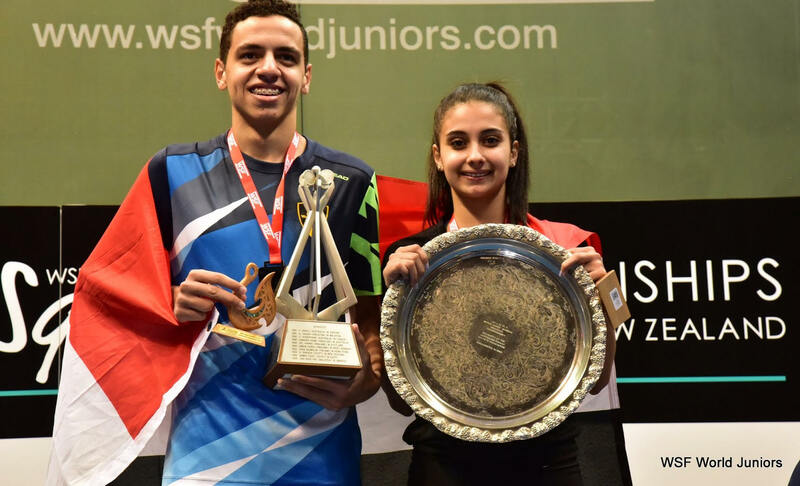 The WSF World Junior Team Championship starts on Tuesday, with Egypt favourites to claim the title for the sixth time in a row. 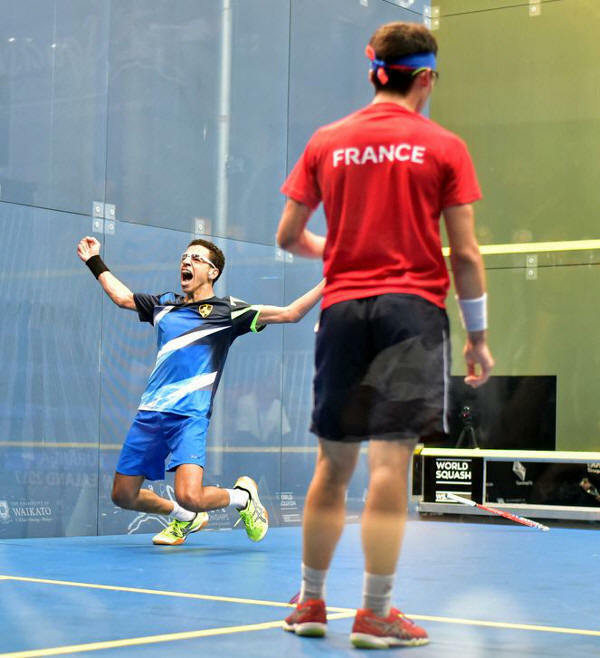 Both top seeds crashed out in the men’s semi-finals as France’s Victor Crouin and Egypt’s Marwan Tarek won through to the final in Tauranga. Crouin, the European Champion, played some of his best squash to oust Jordan’s second seed Mohammed Al Sarraj, taking the opening game and then controlling the final two after Al Sarraj had levelled. 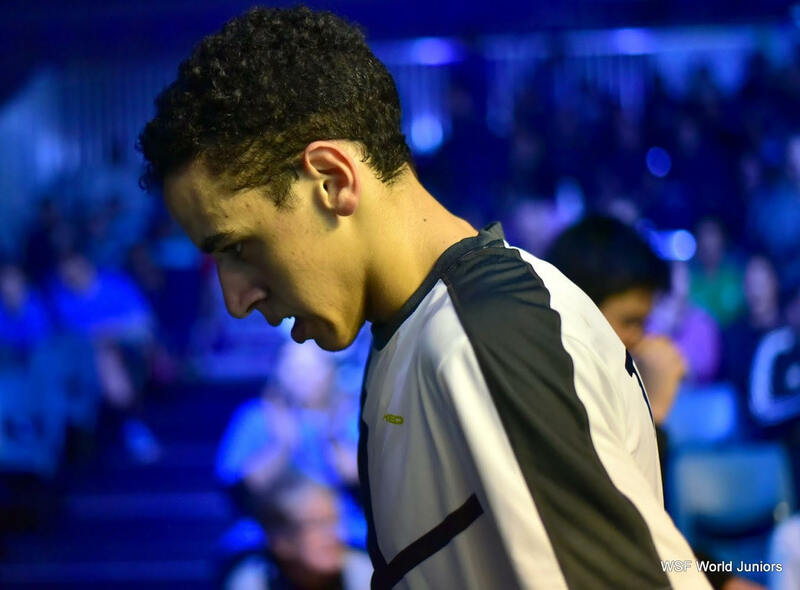 I’m happy with my performance, I managed to play the way I have all tournament, with good accuracy and managed to control a lot of the rallies. 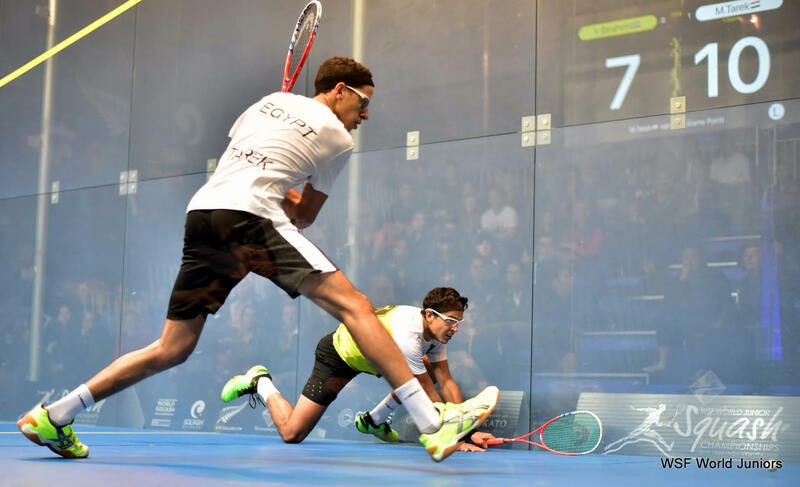 It’s the third time we’ve played and the first time I’ve beaten him, so I’m delighted with that and I still feel fresh for the final. Tarek took on compatriot and close friend Youssef Ibrahim, and after taking a close first game, raced through to a two-nil lead. 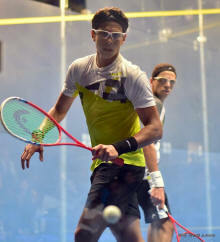 Ibrahim fought back, taking the third and a decid earning three games balls. 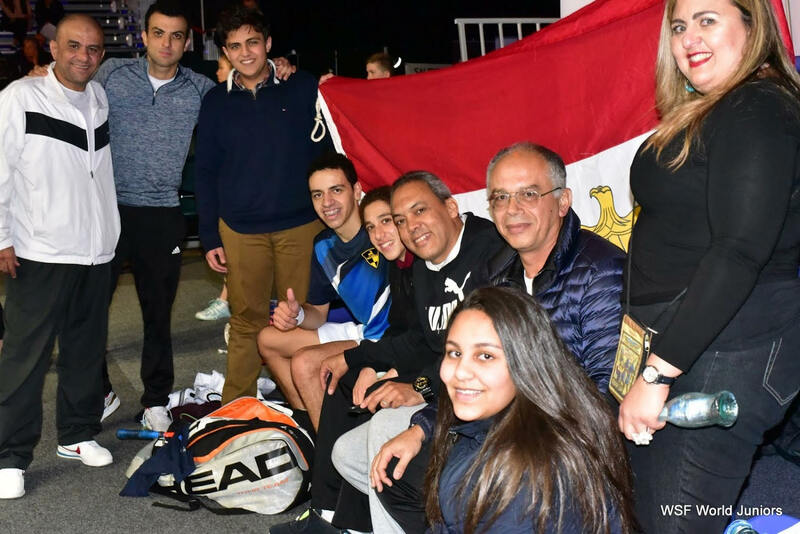 As has been the case all tournament though, unforced errors proved to be Ibrahim’s undoing as Tarek took five points in a row to reach the final. I’m extremely happy. 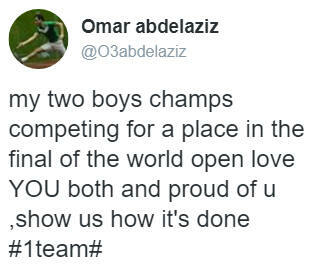 He is like a brother to me, we hang out together, we train together, we belong to the same club, we’ve been in the national team since 2012 together so it was a hard game for both of us. 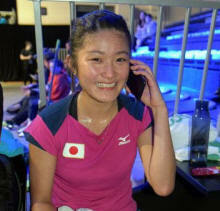 Our games are usually close, but inside the court there are no friends so I’m happy to get through. 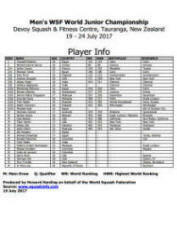 I haven’t played Victor since 2011, and I haven’t watched him at all in this tournament. 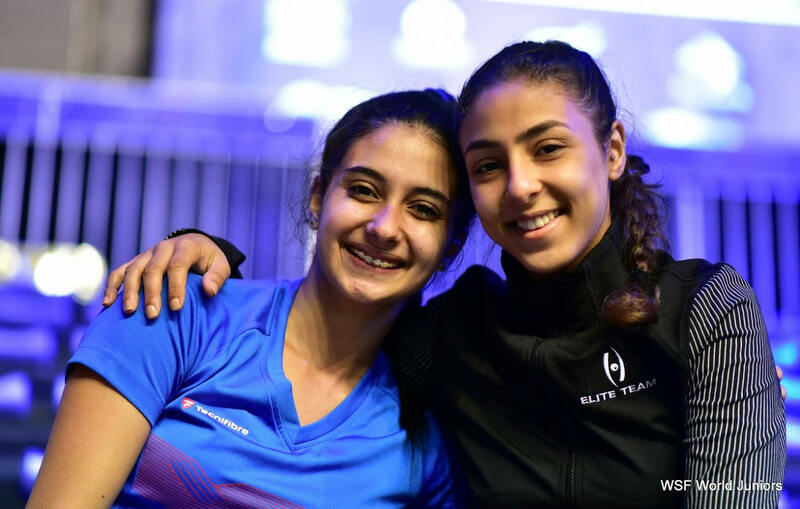 The women’s final will be an all-Egyptian affair - the seventh in a row - as top seeds Hania El Hammamy and Rowan El Araby - both just 16 years old - won in straight games to set up a repeat of their semi-final in last year’s event in Poland. 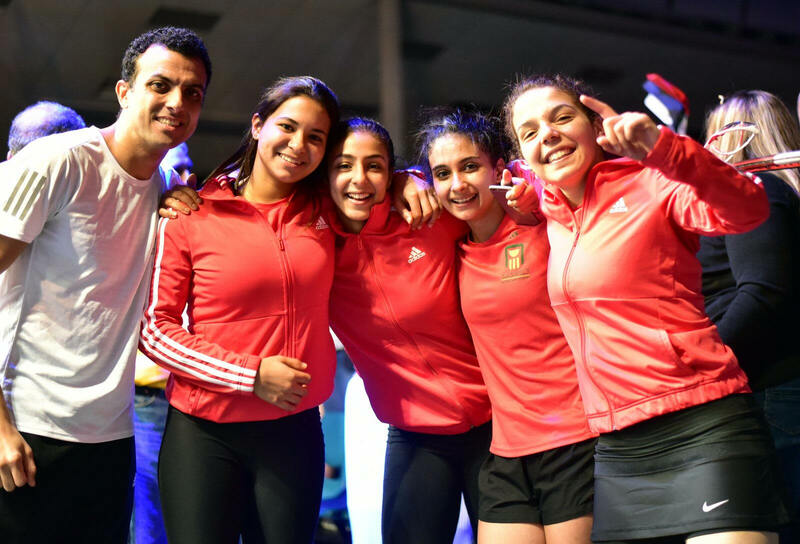 Hammamy beat Satomi Watanabe, the Japanese threatening to extend the match with comebacks in the first and from 7-10 in the third, while El Araby capitalised on an 8-1 start to maintain control over Amina Yousry throughout the three games. It was three-nil, but it was a tough three-nil! 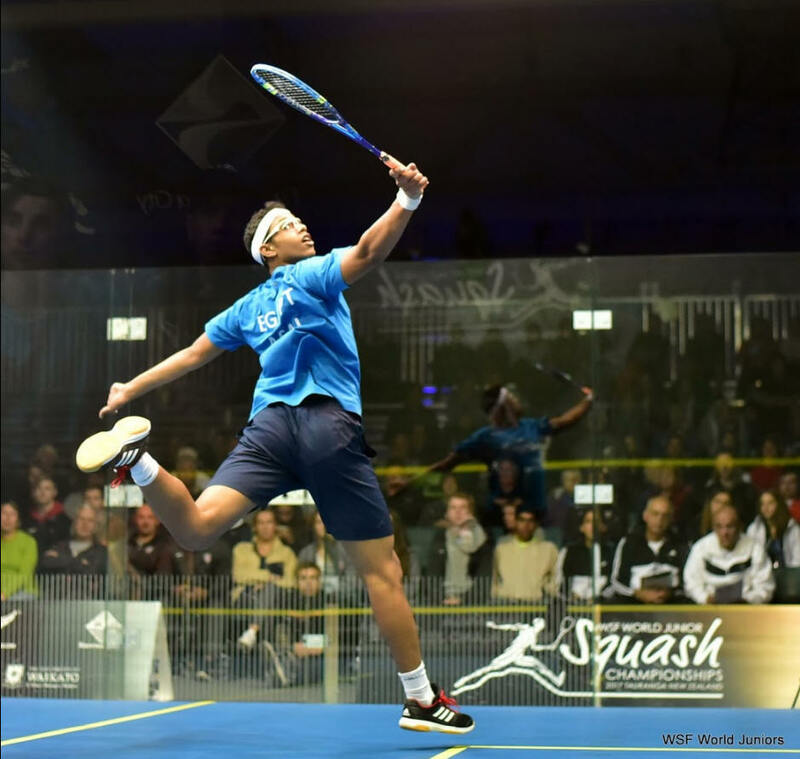 I was glad to take the first, the second went quickly, and I was feeling comfortable in the third, going 10-7 up. 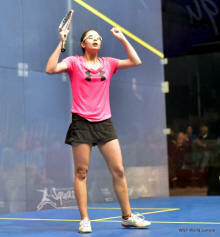 But she came back well, played some good shots so I was happy to win in three. 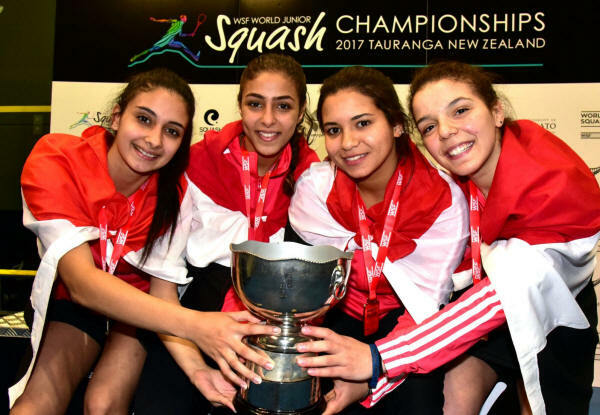 It’s going to be an all-Egyptian final, which will be tough. It’s harder playing an Egyptian, there’s no coasching when we play so you have to do it all yourself, and I’ll be playing a friend who usually supports me but will be against me! 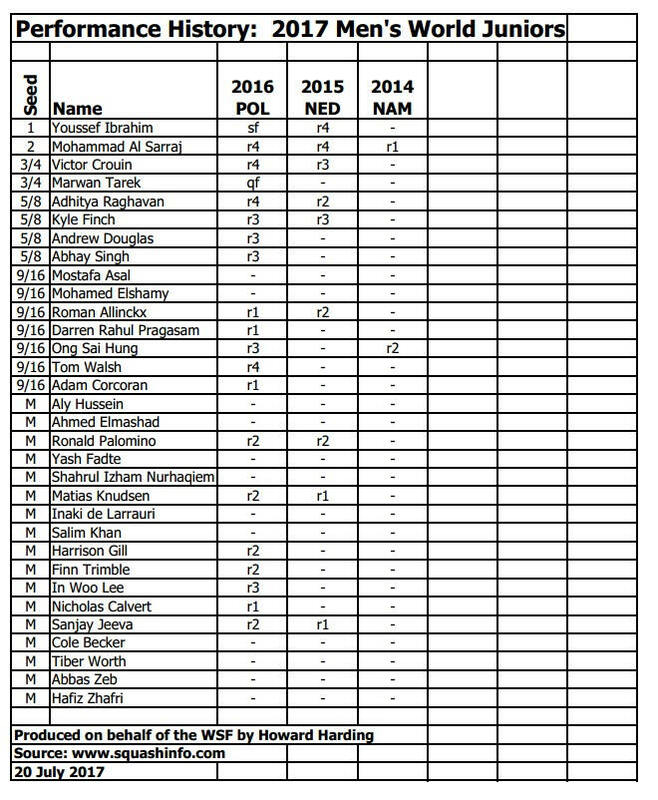 I’m so excited to make the final again. 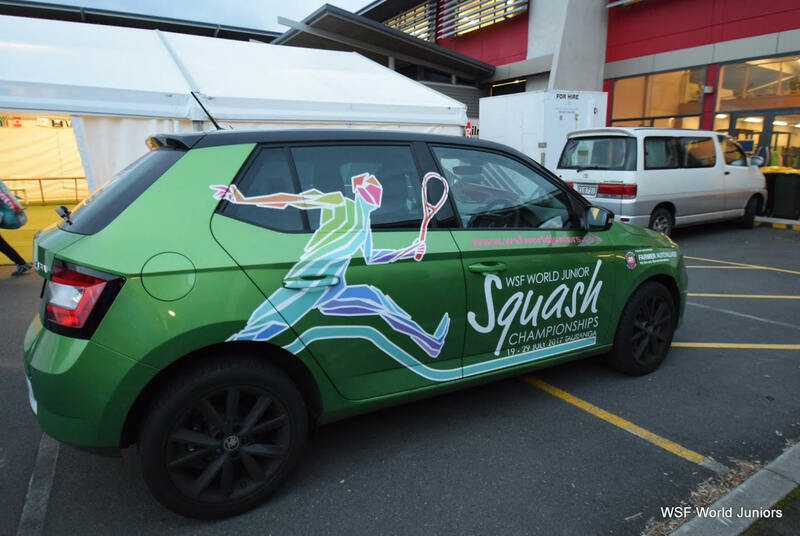 I just wanted to go out to enjoy my squash today, stay calm, and that helped me to play the squash I can play. 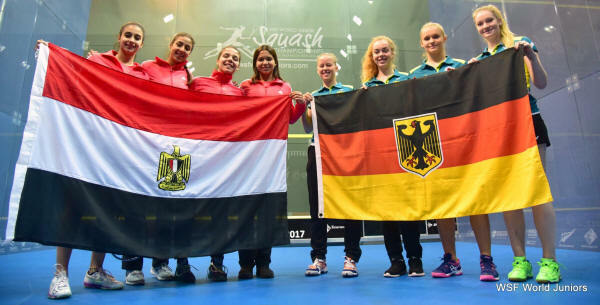 I’m amazed how I played; I wasn’t expecting this, our games are always so tough against and it’s hard to play against another Egyptian. 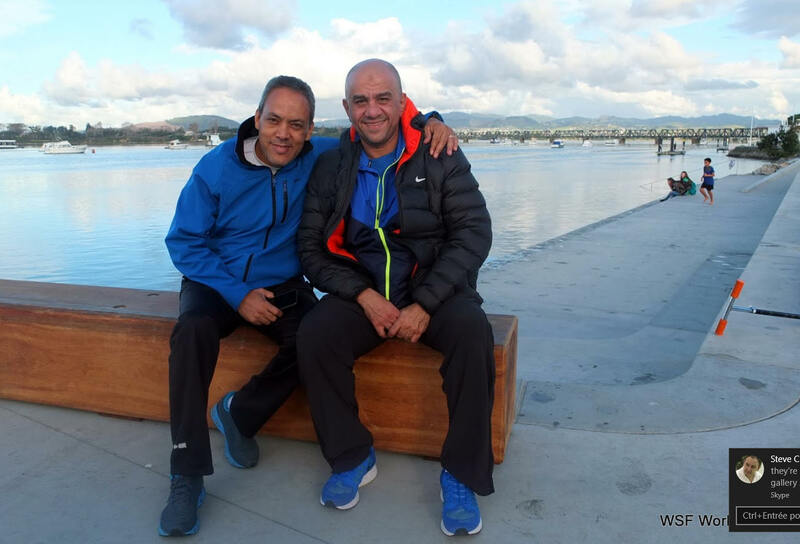 We are teammates and friends and now we have to be competitors. “It’s difficult, but I’ve said all week I want to go one better than last year, so I just want to enjoy it and play my best. 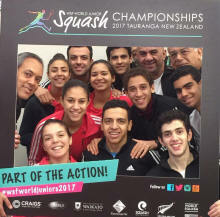 A dramatic quarter-finals day of the WSF World Juniors in Tauranga saw both Egyptian top seeds survive game battles. 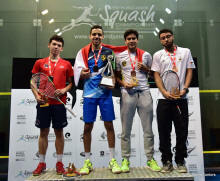 Men’s top seed Youssef Ibrahim looked to have put his nerve early performances behind him as he took a two-game lead over Andrew Douglas, but the American fought back, saving a match ball in the 4th to lead 9-7 in a tense decider before Ibrahim took the last three points to his, and the Egyptian camp’s delight. 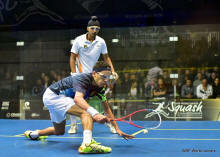 So much pressure, I was winning comfortably then it became so tense. 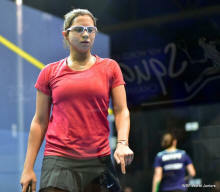 I was playing well, keeping my focus but I couldn’t hold it for three games. I beat him 3-0 in the round of 32 last year, this was much tougher. 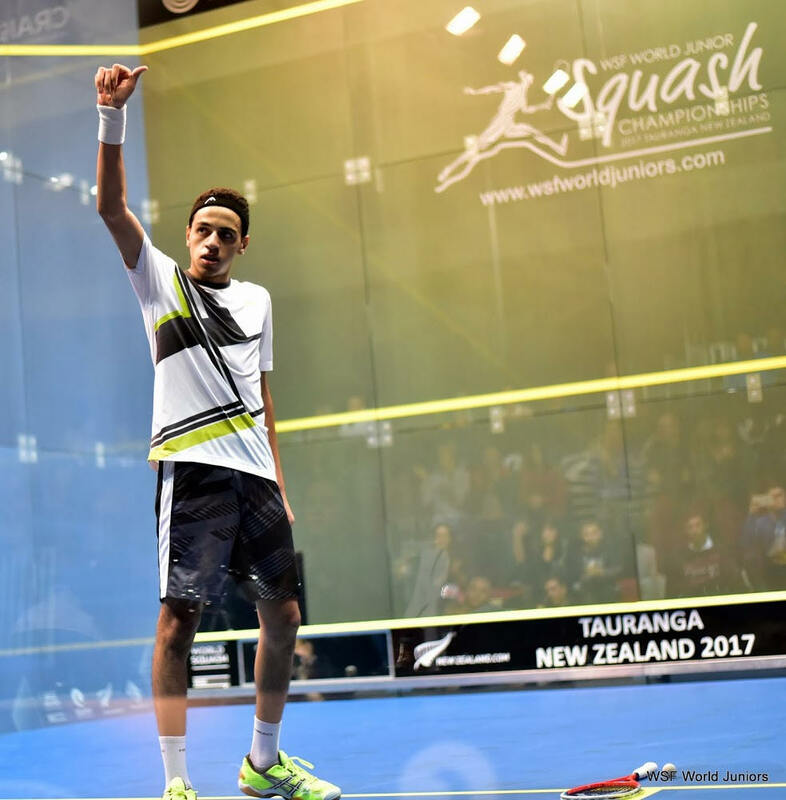 “It was close, again, but I feel I’m handling the pressure better now than in the early rounds, and I’m looking forward to playing a close friend tomorrow. 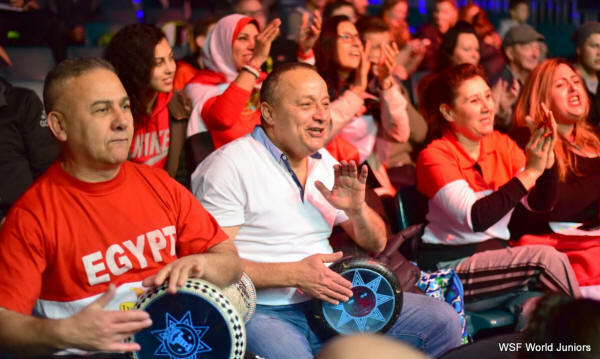 We Egyptians don’t like playing each other in tournaments but it has to be done. 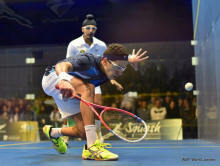 He’ll meet compatriot Marwan Tarek after the 3/4 seed came from a game down to beat India’s Abhay Singh. I was tense before and during the match, and losing the first made it very tough. 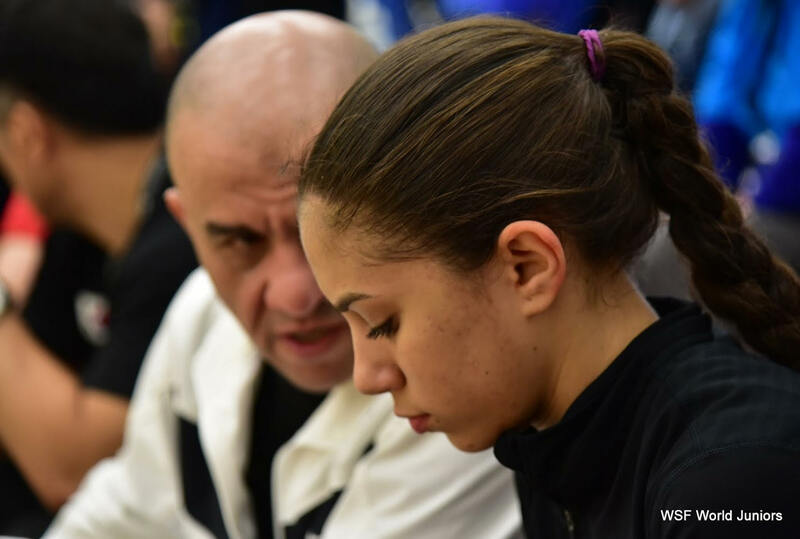 But my coach helped me through, when you want it so much it can work against you and you get overexcited. “I’m really happy to be in the semis, I’m aiming to stay in the tournament as long as I can, taking it step by step. 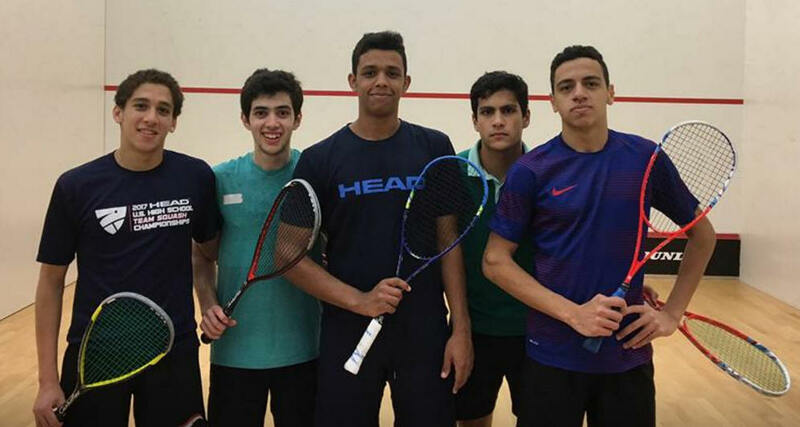 We lost two Egyptian boys today in the bottom half of the draw, Mostafa and Aly: both Egyptians had made the quarter-final against the seedings but were beaten in straight games. 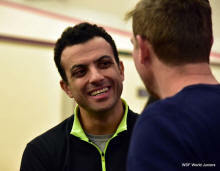 Second seed Mohammed Alsarraj from Jordan beat Mostafa Assal to set up a semi-final with France’ European Champion Victor Crouin, who despatched the only unseeded Aly Hussain in the opening match of the day. 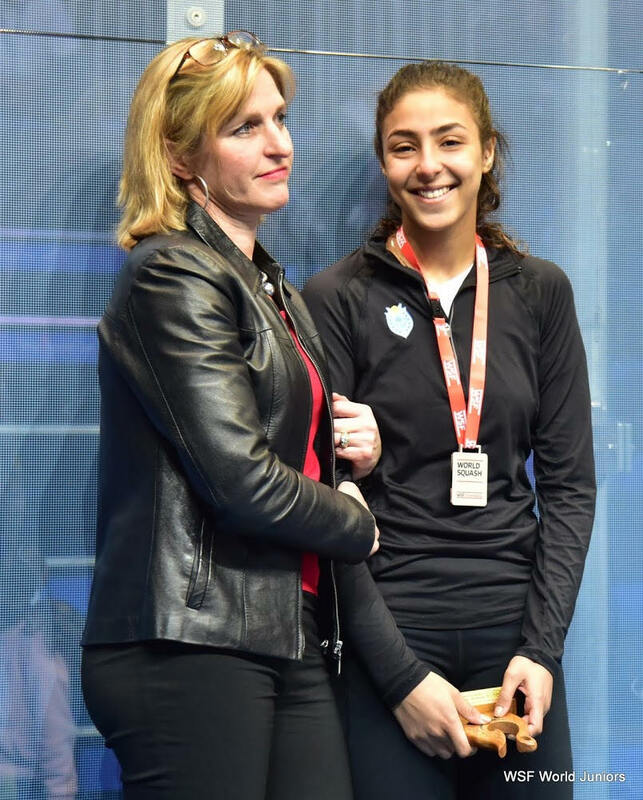 The women’s matches started with an all-Egyptian match which saw 5/8 seed Amina Yousry overcome second seed Zeina Mickawy in three close games. 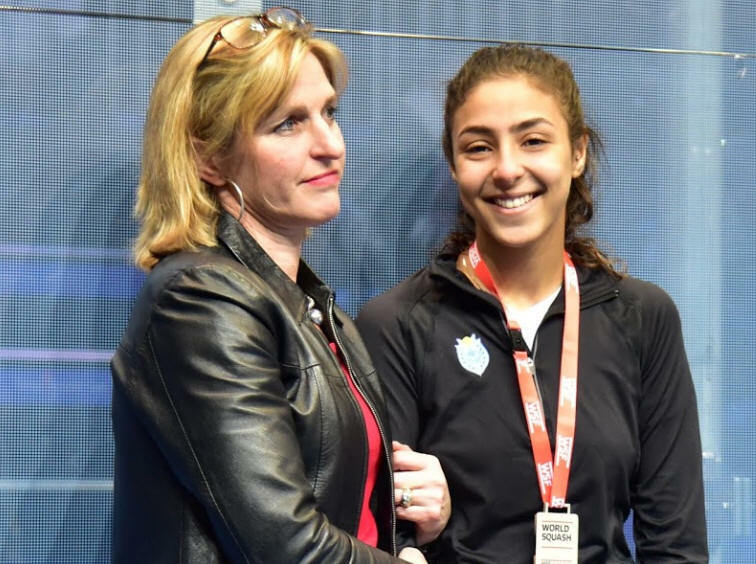 She faces another Egyptian opponent in the semis after 2016 finalist Rowan Elaraby prevailed in a see-saw five-setter against Malaysia’s Andrea Lee. 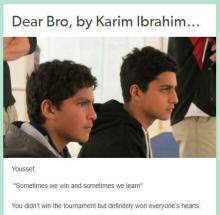 We have the utmost respect for each other, which makes it more special for whoever wins. 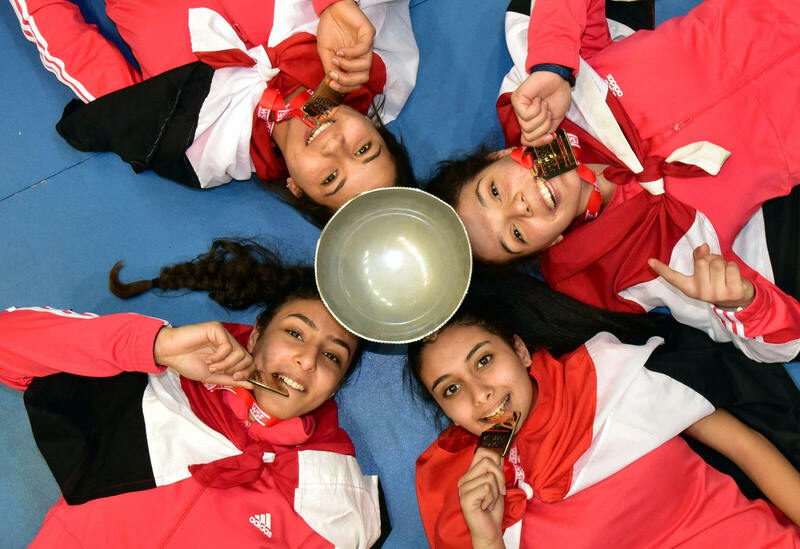 We always have close matches, even today it was three-nil but so close, it depends who needs it more, it was Zeina in the British, today I just had the edge. 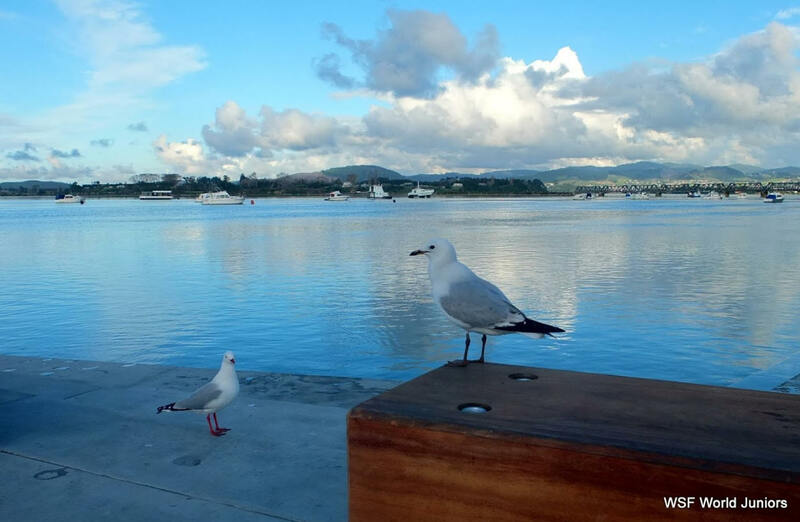 My aim today was to just go out and enjoy it, and I did! 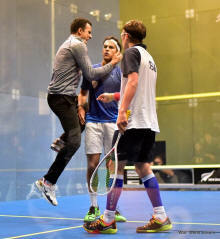 It was getting a bit nervy in the third, I was 6-2 and 107 up but we both play better when we’re down, I was so glad when the referee called a stroke on the final point! 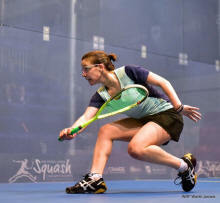 I played her in the quarters of the last worlds and that was 3-1 so I knew it would be tough. I was very pressured out there, and when she came back from 4-9 to take the fourth even more so. 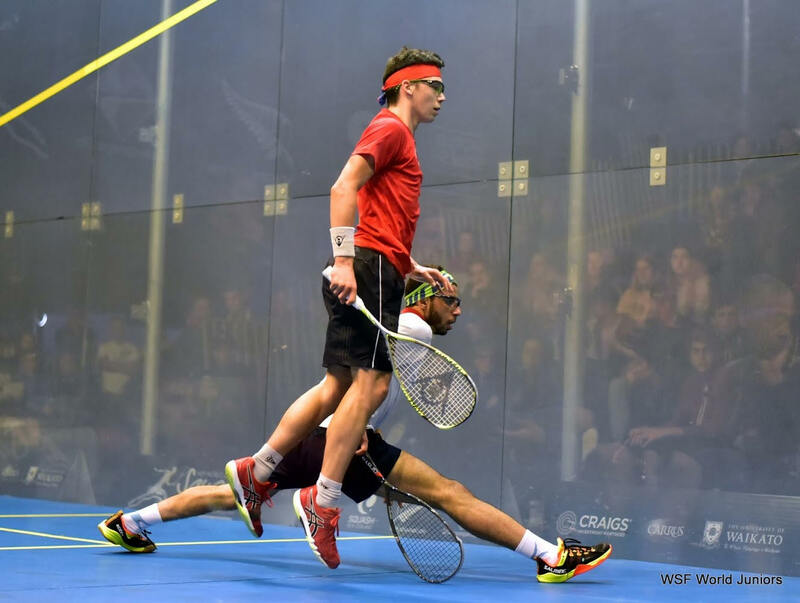 So I started the fifth just trying to keep the ball to a length and it worked. 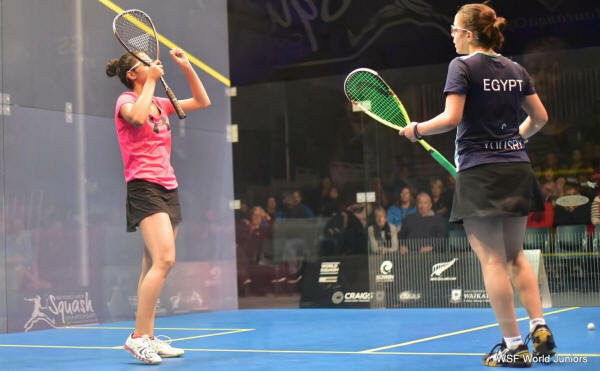 The top half of the draw witnessed two more five game thrillers as top seed Hania El Hammamy had to come from two-one down to see off the challenge of Malasia’s Sivasangari Subramanian, racing through the fifth 11/1, and Japan’s Satomi Watanabe eventually denied 14-year-old American prodigy Marina Stefanoni. 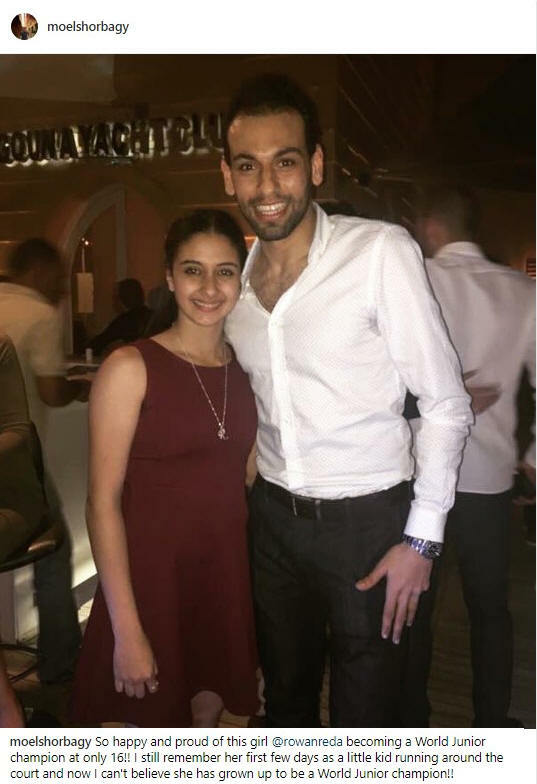 I played her not long ago in Gouna and won 3-0, so I wasn’t expecting that at all, but in the end I found the right way to play. 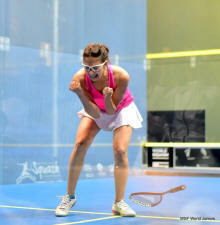 I’m excited to make the semi-finals again, but I’m not going to think about last year. 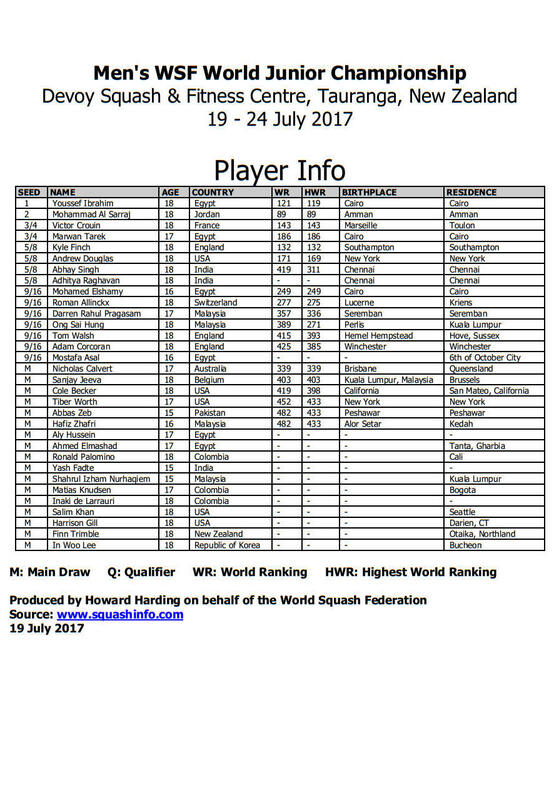 I played Satomi in the British this year and won 3-0, but I know I have to be careful, and ready. Satomi Watanabe wrote her name into squash history today after beating US opponent Marina Stefanoni in the women's quarter-finals to become the first ever Japanese player to reach the men's or women's semi-finals of the prestigious World Squash Federation championship. 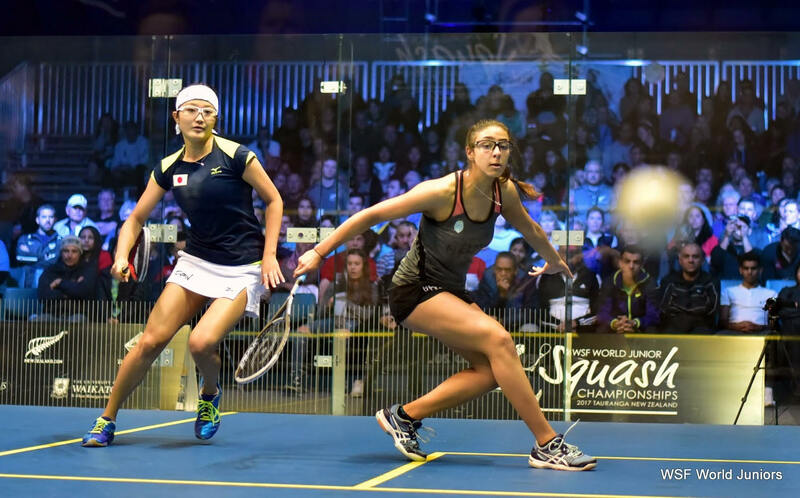 Seeded to reach the last eight at the Devoy Squash & Fitness Centre in Tauranga, the 18-year-old from Yokohama was making her fifth and final appearance in the championship after making her debut in 2012 as a 13-year-old. 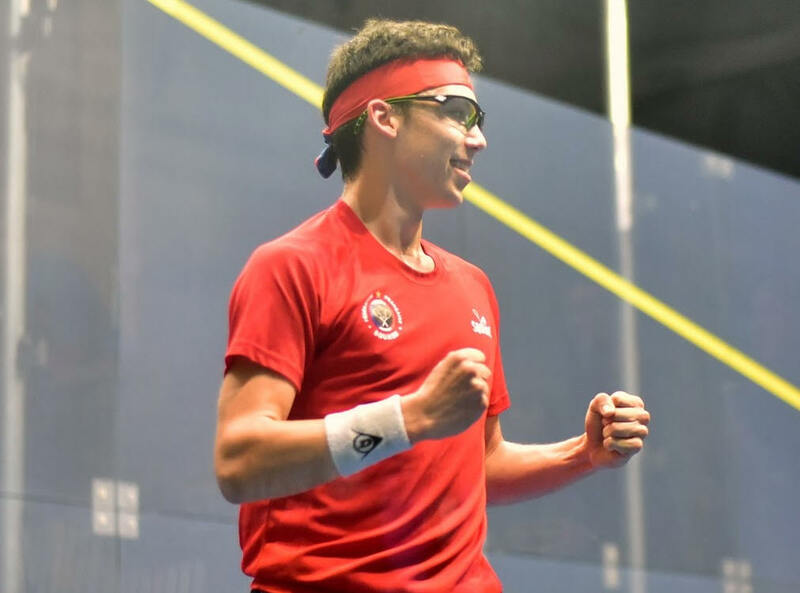 Taken the full distance by Stefanoni - the 14-year-old who ousted 3/4 seed Nada Abbas in the biggest upset of the previous day - Watanabe ultimately prevailed 13-15, 12-10, 11-8, 9-11, 11-4 in 48 minutes. 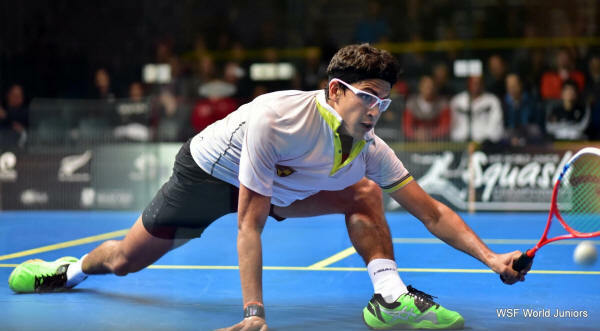 Significant upsets by Mostafa Asal - a shock 11-9, 11-7, 11-7 victory in 43 minutes over Kyle Finch, a 5/8 seed from England - and Aly Hussein - overcoming [5/8] Adhitya Raghavan from Inda, back from 2/1 down, 11-3, 8-11, 11-7, 4-11, 11-3 - aged only 16 and 17, respectively - have led to Egypt having four players in the men's quarter-finals of the WSF World Junior Squash Championships for the first time in seven years. 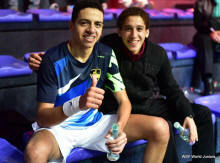 With Egyptian interest in each of the four men's quarter-finals, Asal now faces No.2 seed Mohammad Al Sarraj. To be noted that Aly Hussein became the only unseeded player in the last eight!! !The Cairo-born 17-year-old now lines up against Frenchman only representative Victor Crouin for a place in the semi-finals. After being 9-4 down in the first, I'm so happy to be the fourth Egyptian in the quarter-finals! 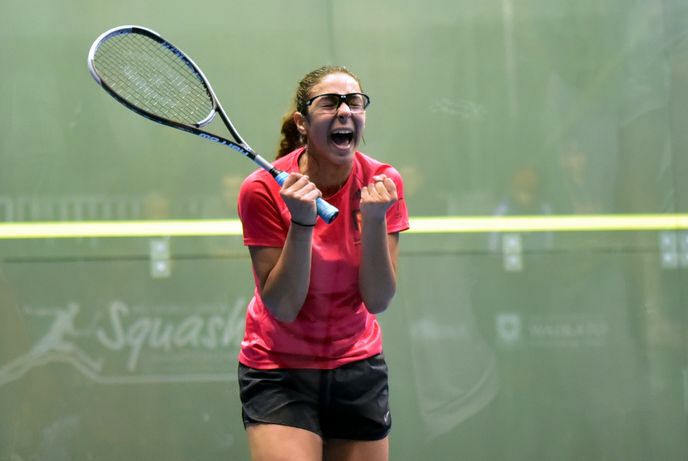 But there was a surprise Egyptian exit in the women's event when Nada Abbas - a 17-year-old from Giza predicted to make the semi-finals - went down to USA's 14-year-old Marina Stefanoni in the biggest upset of the day. 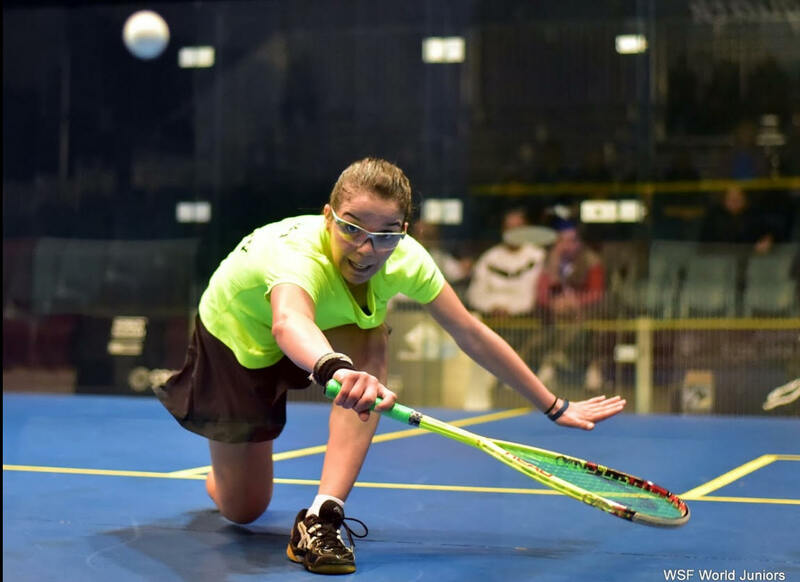 Unranked Stefanoni was facing 3/4 seed Nada Abbas for the first time - but played the game of her life to overcome an opponent ranked 37 in the world 12-10, 7-11, 11-7, 11-9 in 41 minutes. I’d never played her before, but I watched her play yesterday and saw how her opponent was winning points so I tried to replicare that. I started well but she fought back and I had to try to catch up again. 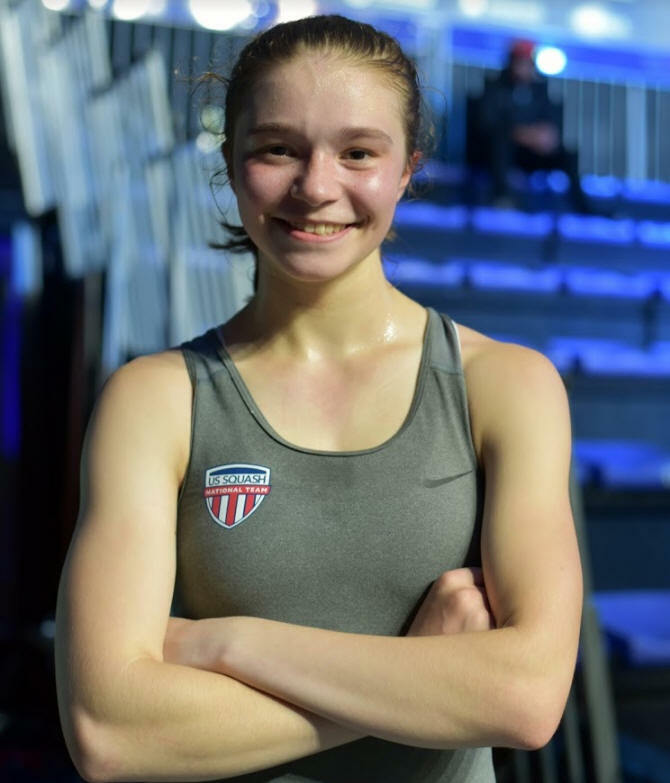 At 6-1 in the fourth I lost a bit of focus, thinking it would be pretty cool to be in the quarters, but at 7-6 down I knew I had to get back to my game. It feels great to be in the quarters, realy excited about that! 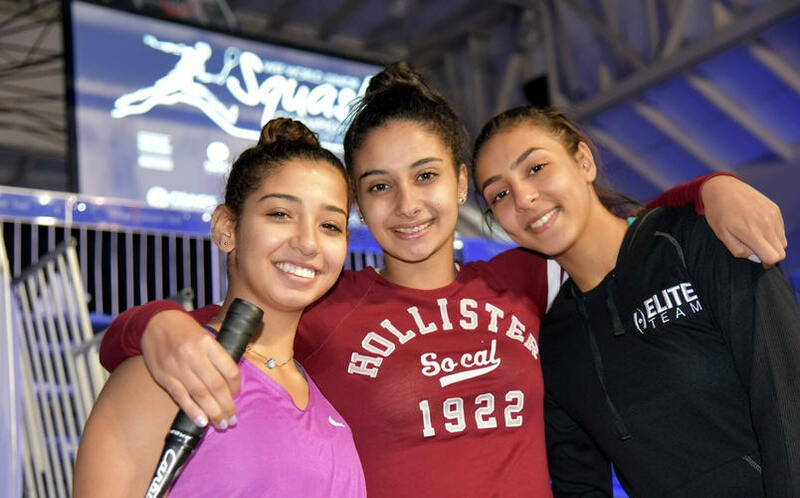 An Egyptian semi-finalist is assured at the bottom of the draw where Amina Yousry and Zeina Mickawy meet in the quarters. 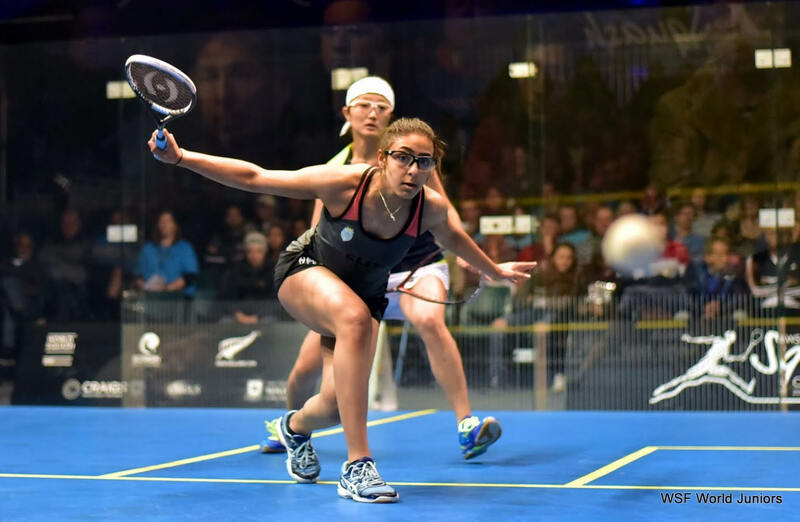 5/8 seed Yousry beat Hong Kong's Lui Hiu Lam 11-2, 4-11, 11-8, 11-2, while second seed Mickawy defeated Malaysian Aifa Azman 12-10, 13-11, 11-7. She's an up and coming player and she's going to be something, so all the pressure was on me. Happy to get through that in three. 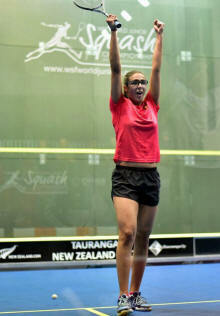 She’s an improving player, very talented and she’s going to be something, so all the pressure was on me. I tried hard not to lose a game, which would have given her confidence. I had more confidence in the third,, being two-nil up gives you that! I lost a bit of focus after the first game, I was thinking that it was my first time on the glass and I wouldn’t find my marks - which is strange, because this is exactly the type of court I love playing on! I found my my length better at the end and it went well. I’ll need to play better for the whole match tomorrow! 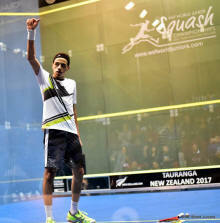 I was surprised by his performance, but he beat one of my teammates yesterday so he’s having a great run. 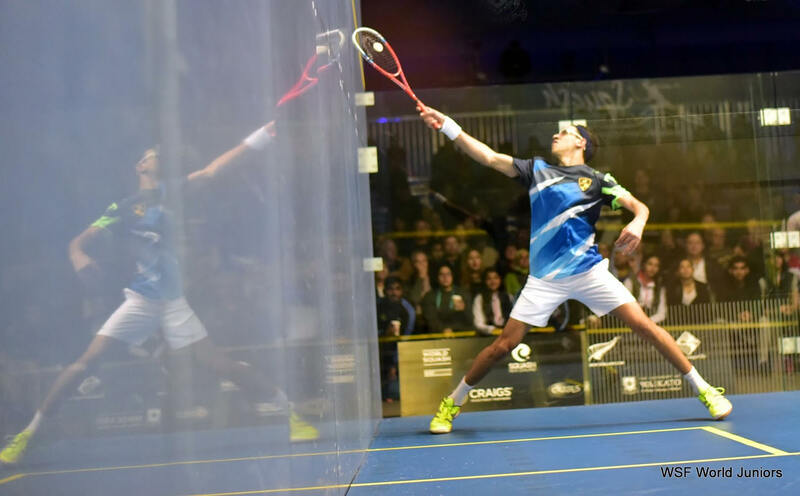 He attacks so well, I couldn’t stop him, and the cold conditions suited him, I just had to try to keep the rallies alive and hope for a mistake. I’m just relieved to get out of that one. It’s so hard to concentrate when you’re top seed, everyone wants to beat you. It was a big mental challenge for me, I’m happy how I dealt with it in the last two games, that makes me feel confident for the rest of the tournament. That was really tough, I didn’t see that coming after an 8-0 start, but he’s a good mover and came back well. I think I handled it well at the end, behind most of the game but on top at the very end. 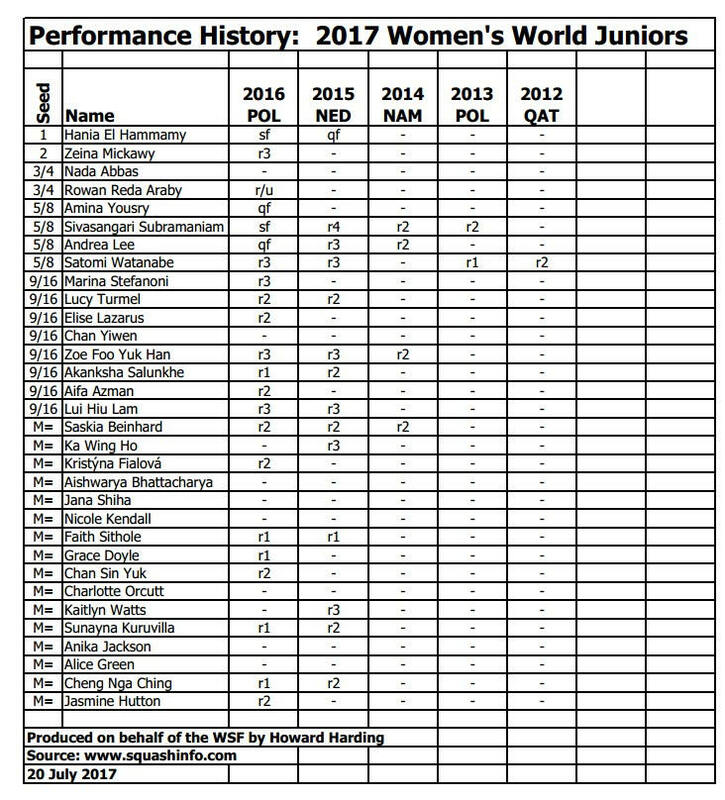 This is my second world juniors and my second quarter-final. 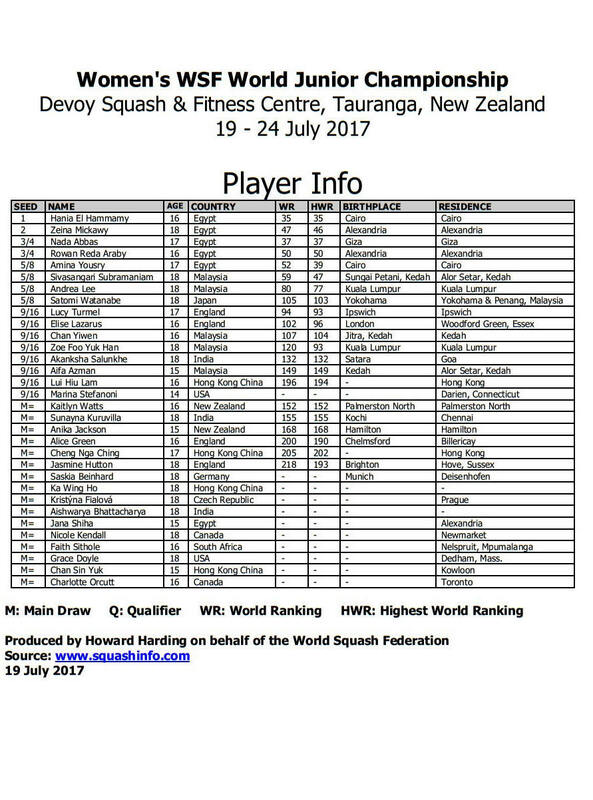 Last year I lost in five but this time I’m 3/4 seed, I’ll be doing all it takes to stay in the tournament. 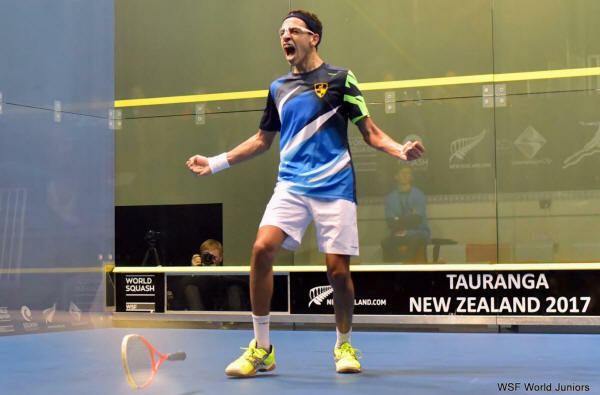 Good result for our unseeded Aly Hussein, a world championship debutant, as he despatched Roman Allinckx, a 9/16 seed from Switzerland, 11-6, 11-4, 11-5 in 48 minutes. 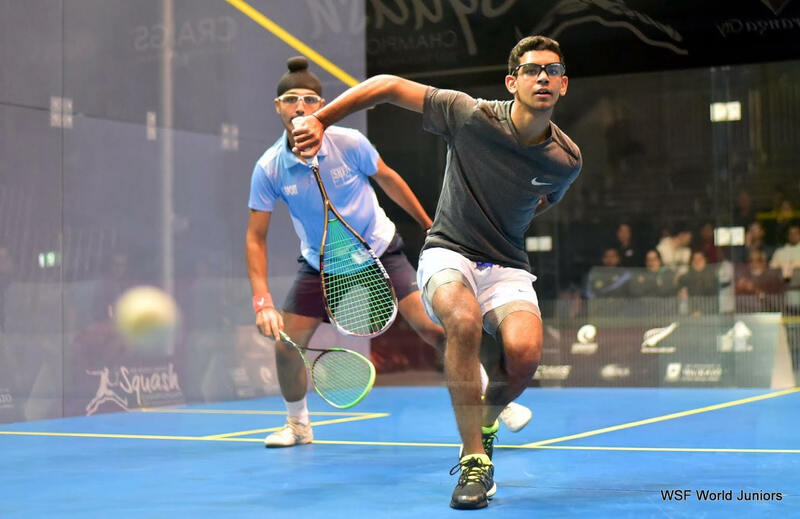 The Cairo-born 17-year-old, one of five Egyptians through to the men's last 16, will need to overcome India's 5/8 seed Adhitya Raghavan to secure a place in the quarter-finals. 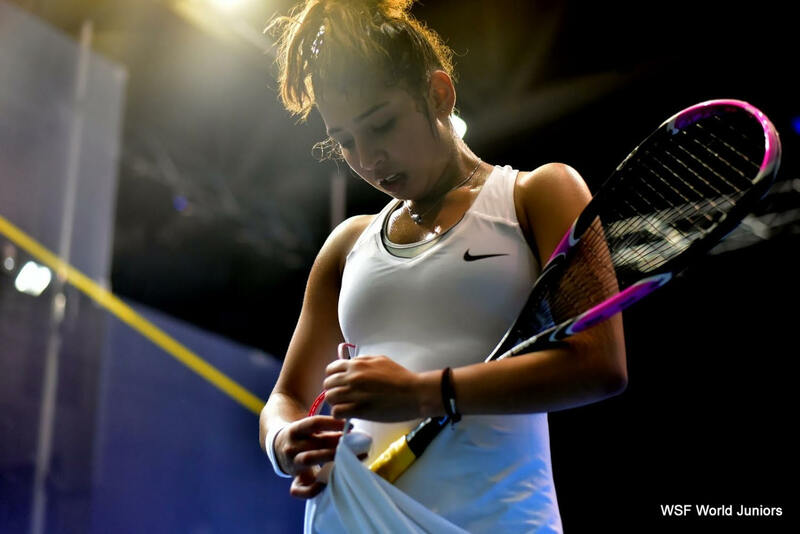 15-year-old Jana Shiha produced the standout upset in the women's event after ousting 18-year-old Akanksha Salunkhe, a 9/16 seed from India. 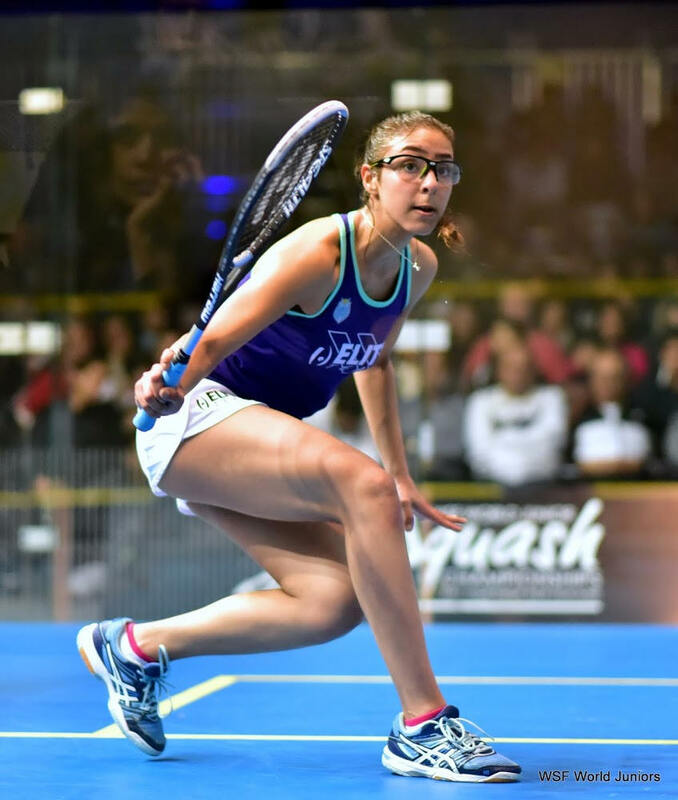 The Alexandrian's 11-6, 11-8, 11-4 victory in just 16 minutes takes Shiha through to the last 16 where she will face compatriot Rowan Reda Araby. Runner-up in 2016, 16-year-old Araby - also from Alexandria - defeated Canadian Nicole Kendall 11-1, 11-2, 11-2. 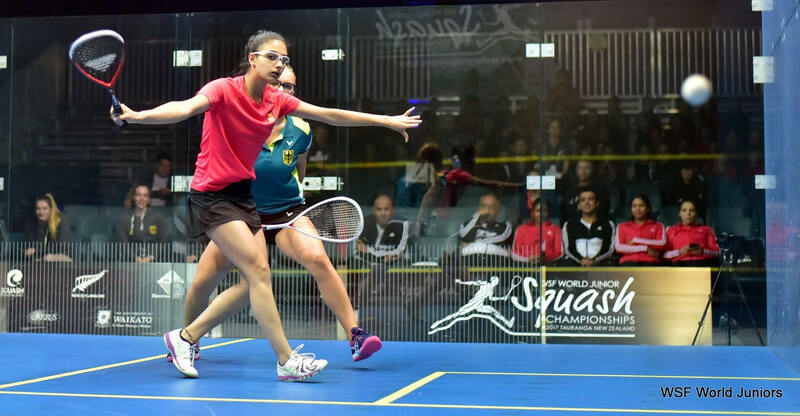 Top seed Hania El Hammamy brushed aside Hong Kong's Ka Wing Ho 11-4, 11-3, 11-2 to lead six Egyptians into the fourth round. 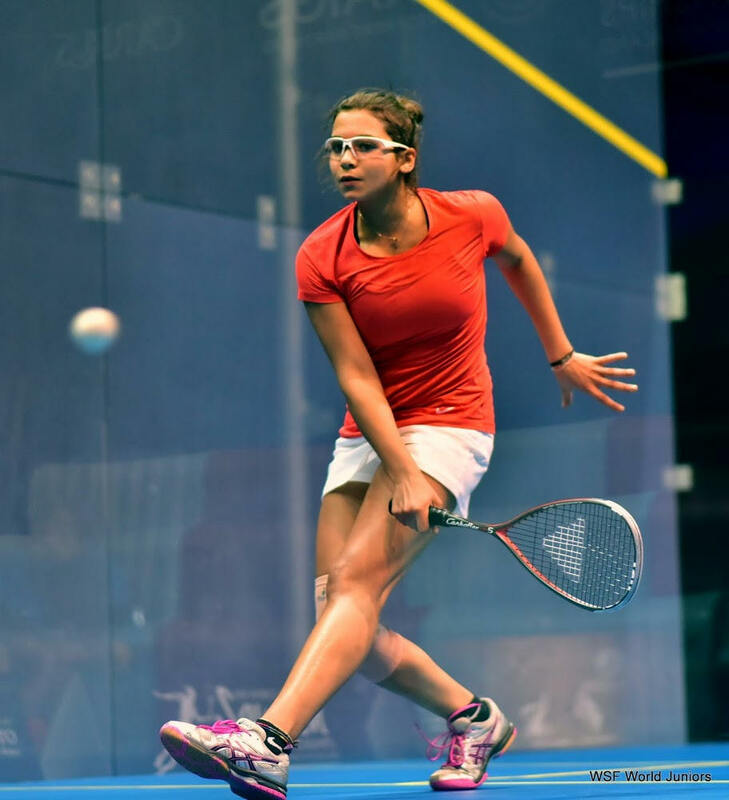 Predicted semi-finalist Nada Abbas, however, was taken the full distance before claiming her anticipated place in the last 16. From 2/1 down, the 17-year-old from Giza finally got the better of India's 18-year-old Aishwarya Bhattacharya 11-4, 8-11, 9-11, 11-6, 11-3. 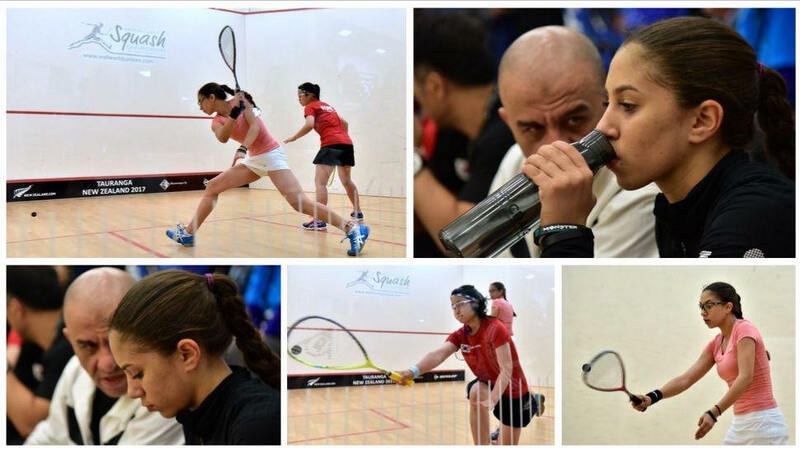 We lost one Egyptian player, when Malaysia’s Ong Sai Hung came from two games down to deny Ahmed Elmashad. A good battle for Mohamed Elshamy, who saved match balls before seeing off Cole Becker 12/10 in the decider. 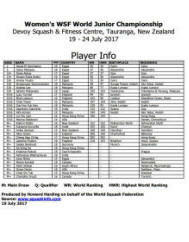 After producing the only seeding upset on the opening day of action in the WSF World Junior Squash Championships in New Zealand, Colombian outsider Matias Knudsen battled through to the men's last 16 of the World Squash Federation event today at the Devoy Squash & Fitness Centre in the city of Tauranga. 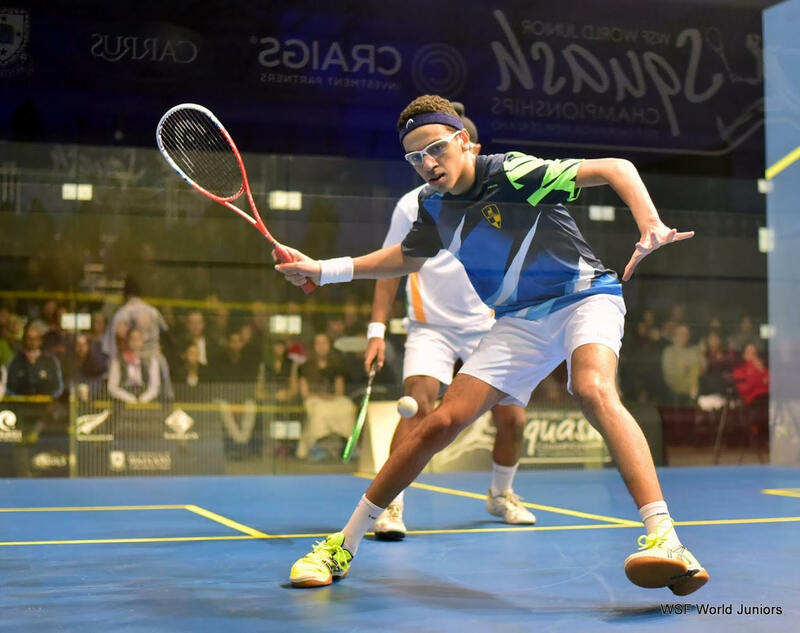 The unranked 17-year-old from Bogota needed 54 minutes to see off Pakistan's world No.482 Abbas Zeb 10-12, 11-9, 11-6, 6-11, 11-9. 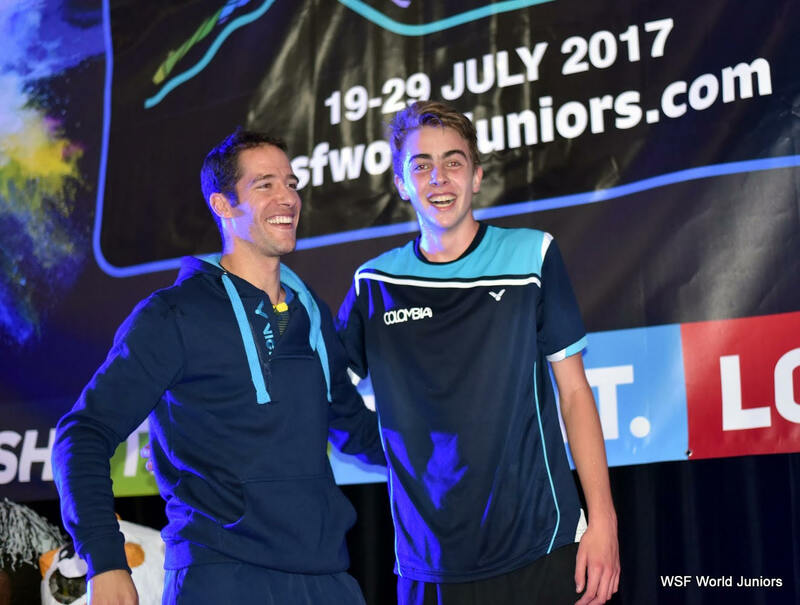 "I was two-nil 10-7 down yesterday, and today I was 10-7 up in the third and it was very hard to finish," said Knudsen, coached by recently-appointed Colombian national coach Martin Knight, the former world No.38 from New Zealand. 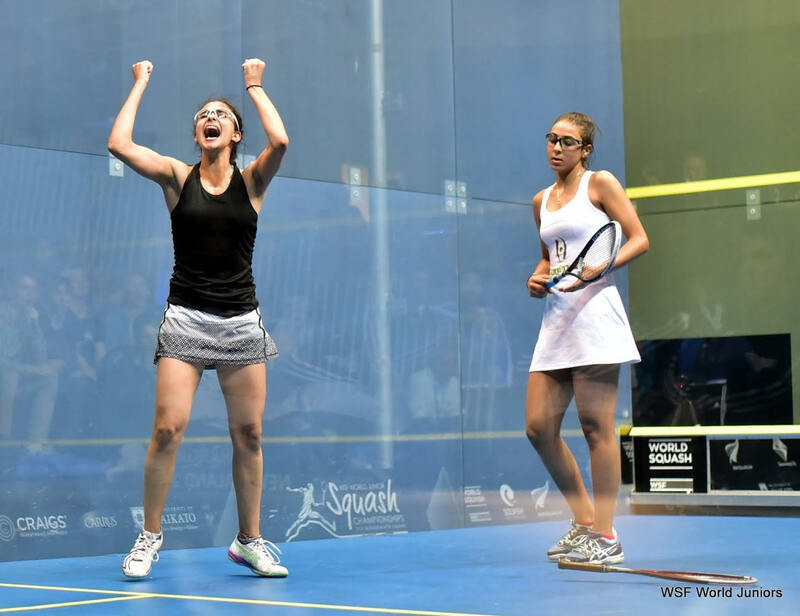 "I'm so excited to be in the last sixteen - this is my third world juniors, I'm getting further each time and I still have one more to go!" 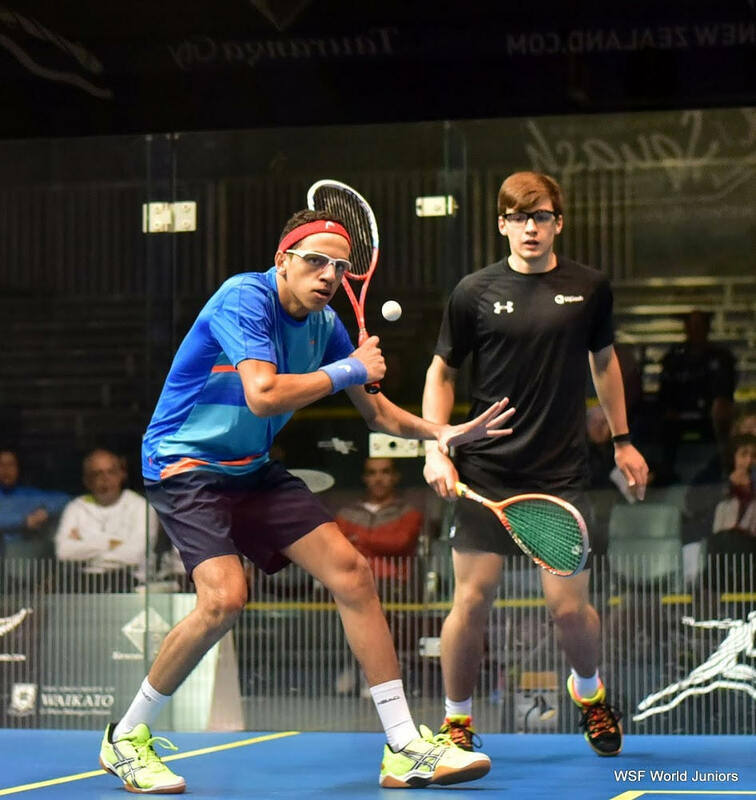 Bidding to become the first Colombian ever to reach the event's quarter-finals, Knudsen now faces No.2 seed Mohammad Al Sarraj. 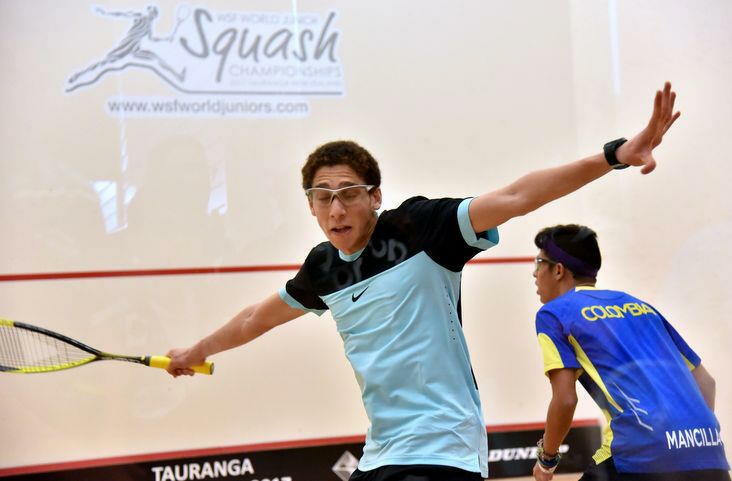 Al Sarraj, from Jordan, defeated USA's Salim Khan 11-7, 11-9, 12-10. 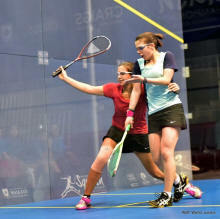 16-year-old local hope Kaitlyn Watts was unable to pull off the upset she needed to reach the 4th round. 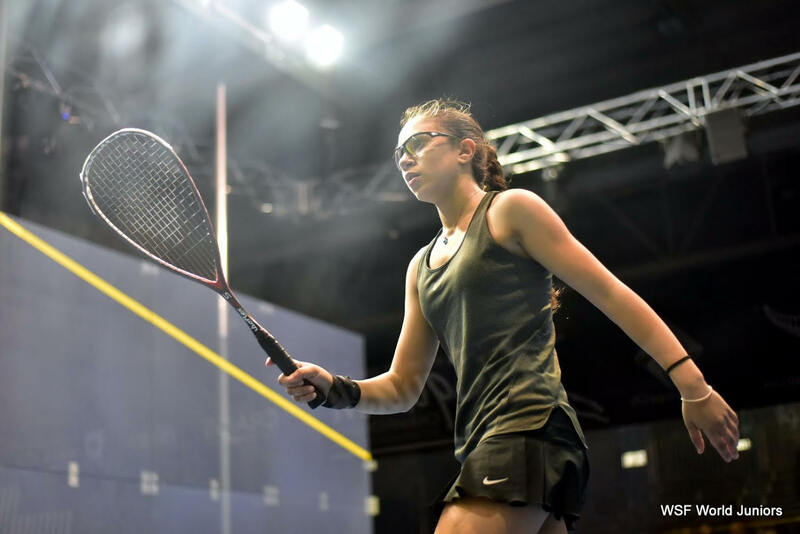 The highest-ranked New Zealander in the women's draw, Watts went down 11-4, 11-7, 11-4 to Malaysian Chan Yiwen, a 9/16 seed. 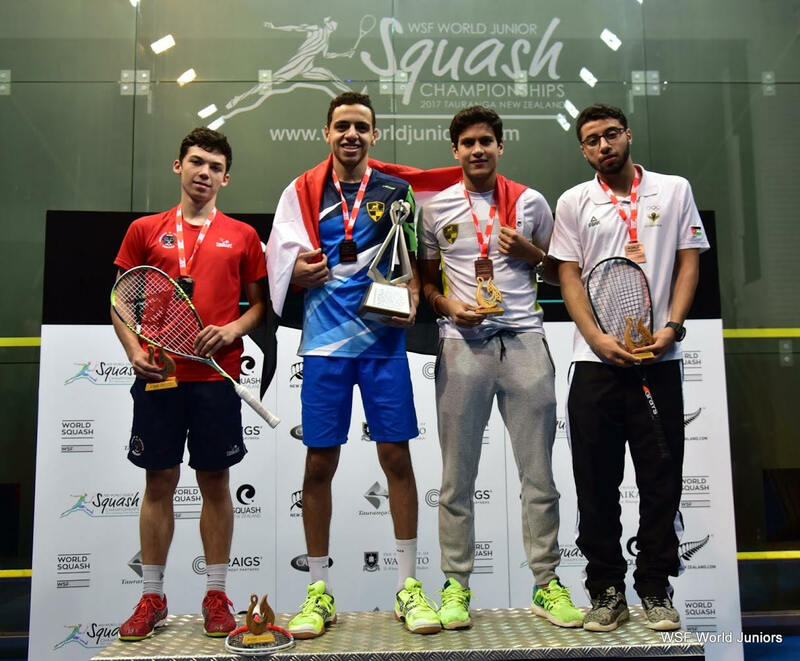 Good start for the Egyptian players today. 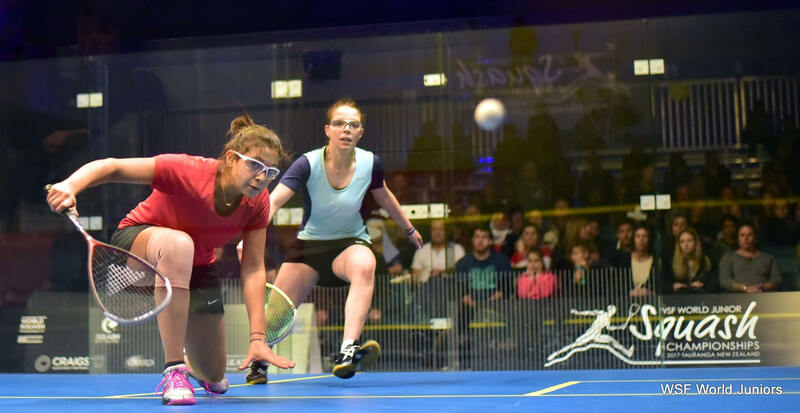 Never easy to play against players that have nothing to lose, and will go for it - as only juniors can! 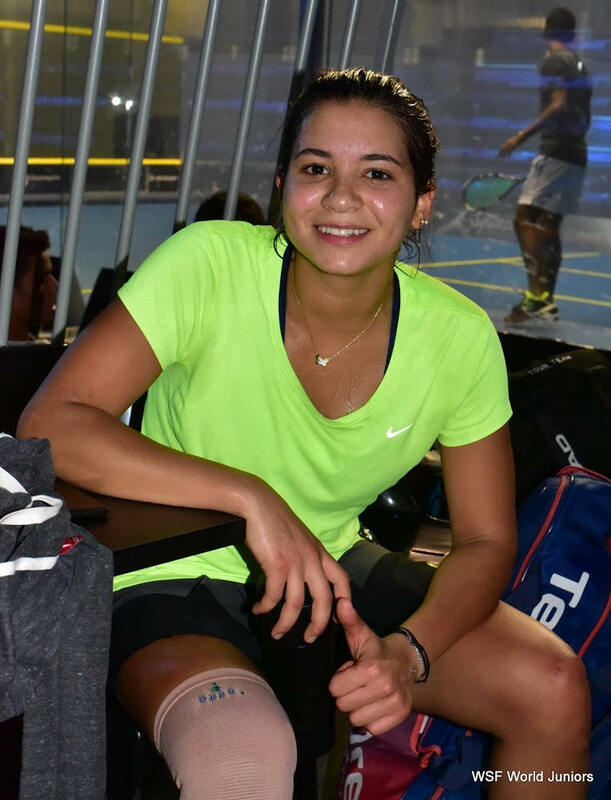 So, all the Egyptians won their matches 3/0 except for Zeina Mickawy that lost her first round 11/9, only to take the next three 7, 4 and 7 against USA Elisabeth Ross. 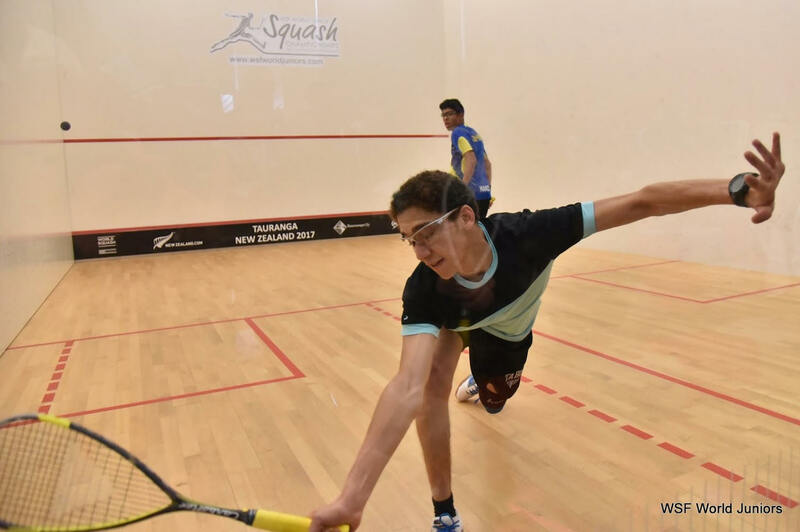 Colombian Matias Knudsen produced the day's sole seeding upset after fighting back from two games down to dismiss Pakistani Mansoor Zaman (Jnr), a 9/16 seed, 7-11, 9-11, 12-10, 11-6, 11-9. 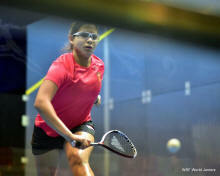 The 17-year-old from Bogota will now face further Pakistan opposition in Abbas Zeb for a place in the last 16. 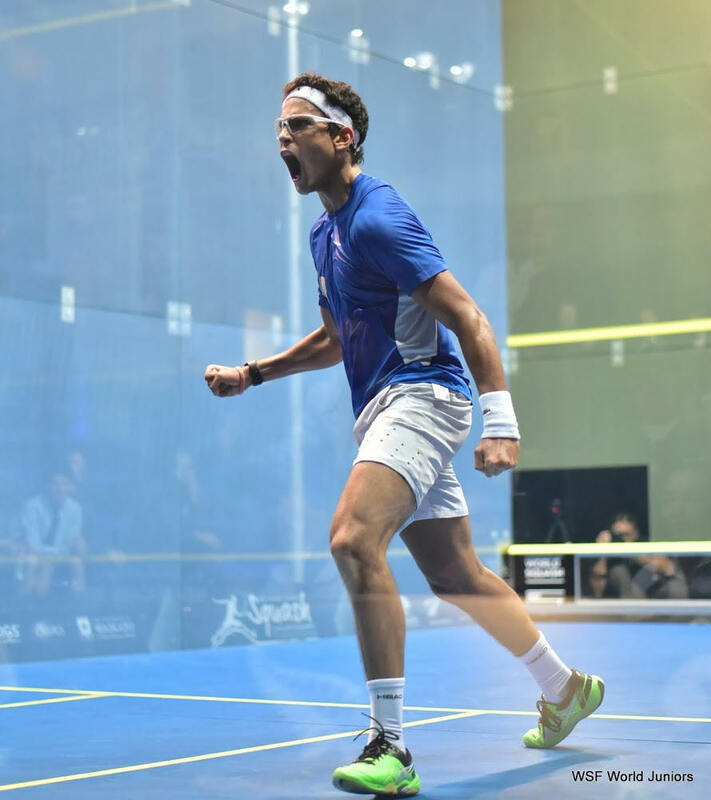 Our top seed Youssef Ibrahim eased into the third round after defeating Canadian Salaheldin Eltorgman 11-2, 11-6, 11-3. 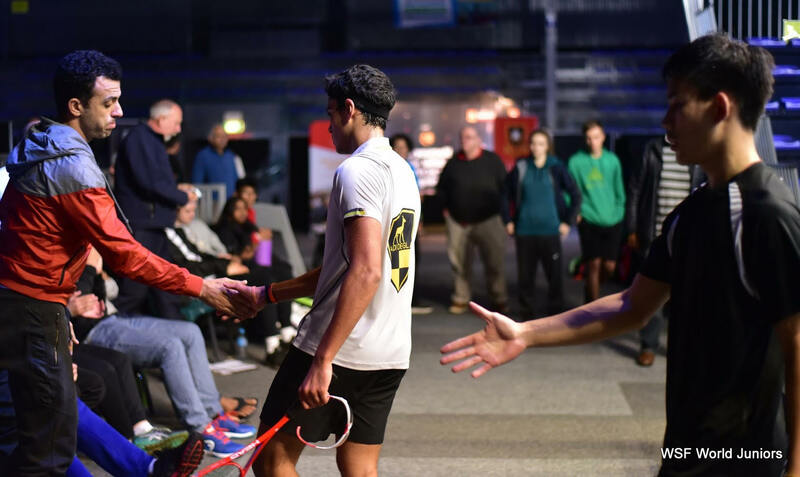 Meanwhile, Mohammad Al Sarraj, the Egyptian's anticipated opponent in the final, needed four games to get over his first hurdle, beating home hope Mitchell Kempton 5-11, 11-4, 11-7, 11-3. 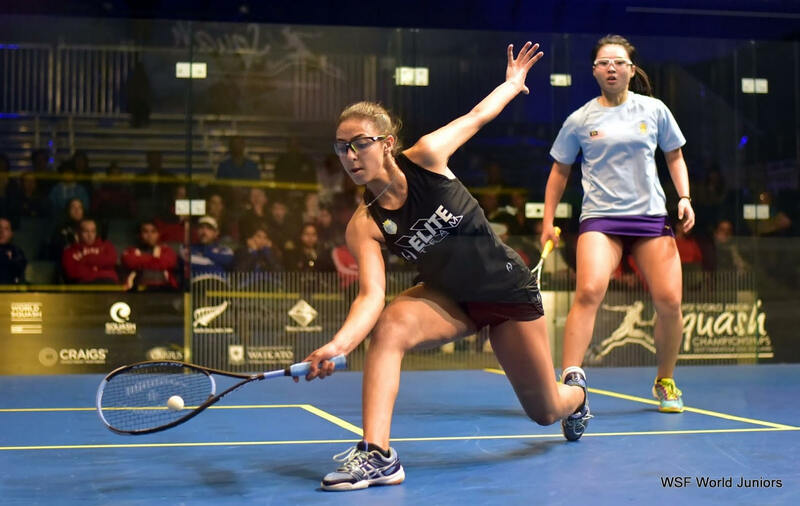 Kaitlyn Watts, the top-ranked New Zealander in the women's draw, delighted home supporters with an 11-4, 11-2, 11-6 defeat of Australian Courtney Mather in just 18 minutes. 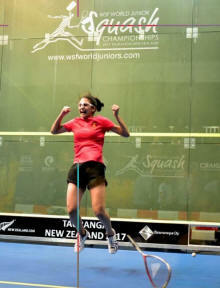 The 16-year-old from Palmerston North now faces Malaysian Chan Yiwen, a 9/16 seed. 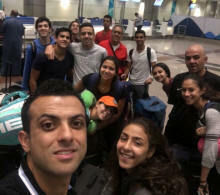 Finally they arrived at the hotel at 11am.. But at 3pm, off they went to train already! Some biking and sweat for the players, then stretching and mobility.